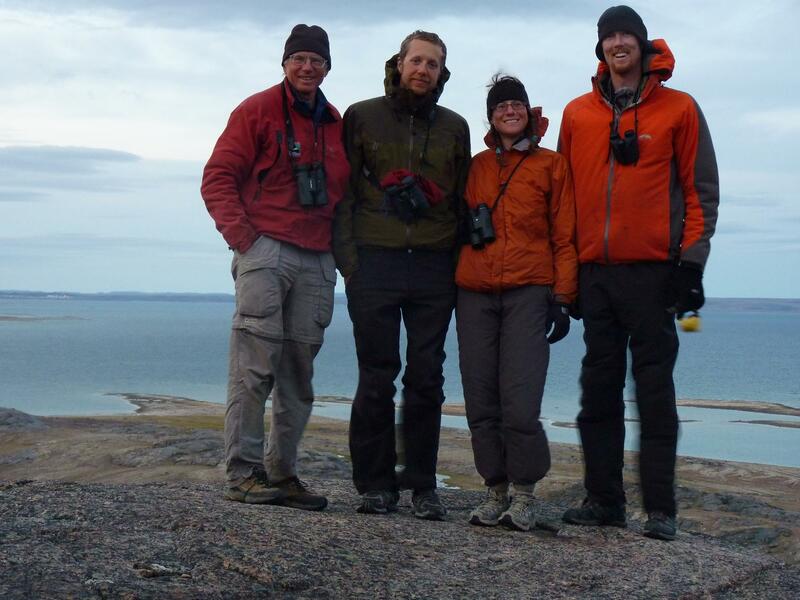 Susan and Bob were joined by friends Eric Binion and Karl McEwan. 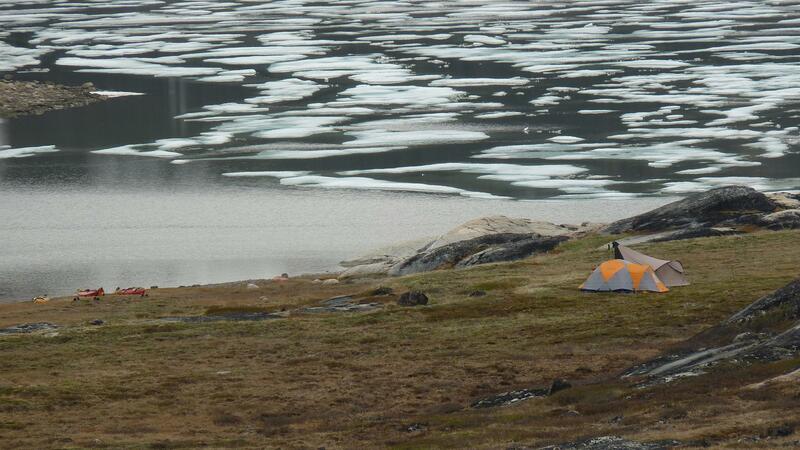 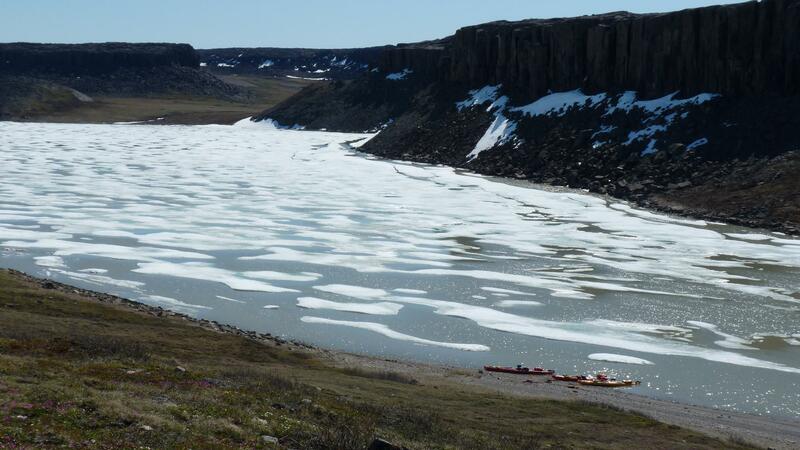 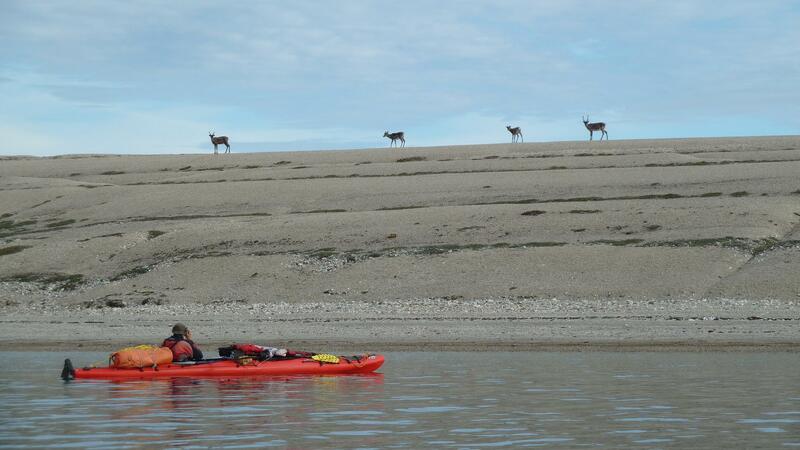 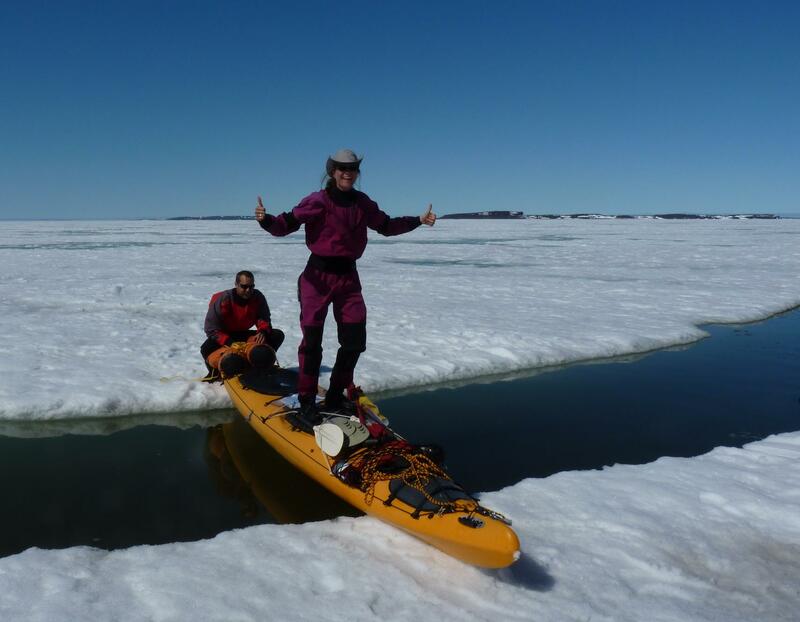 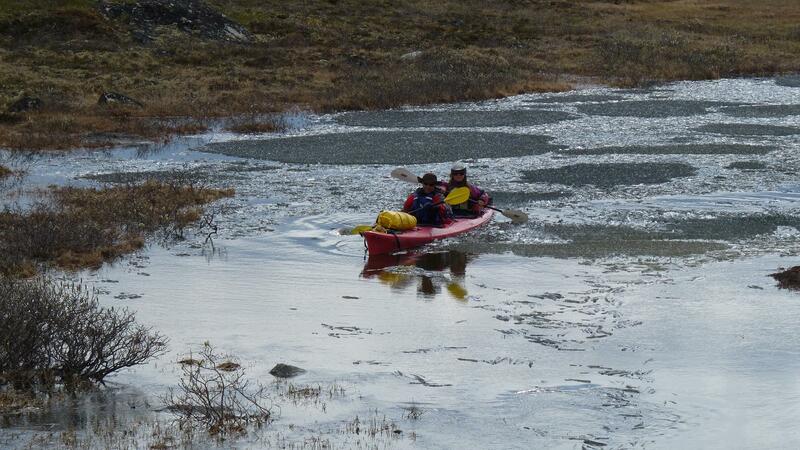 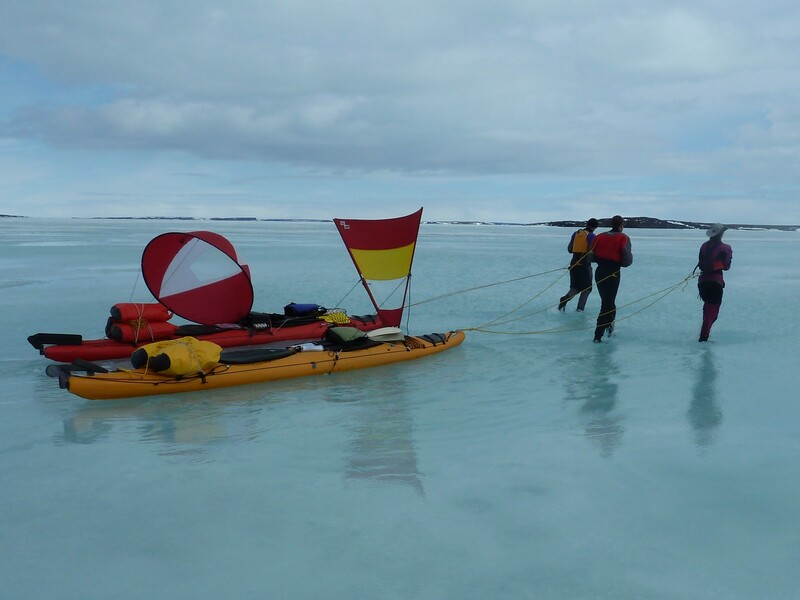 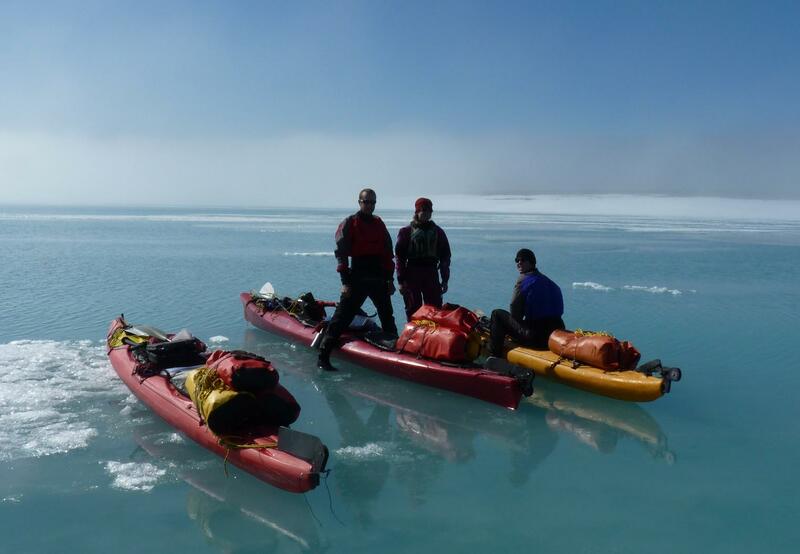 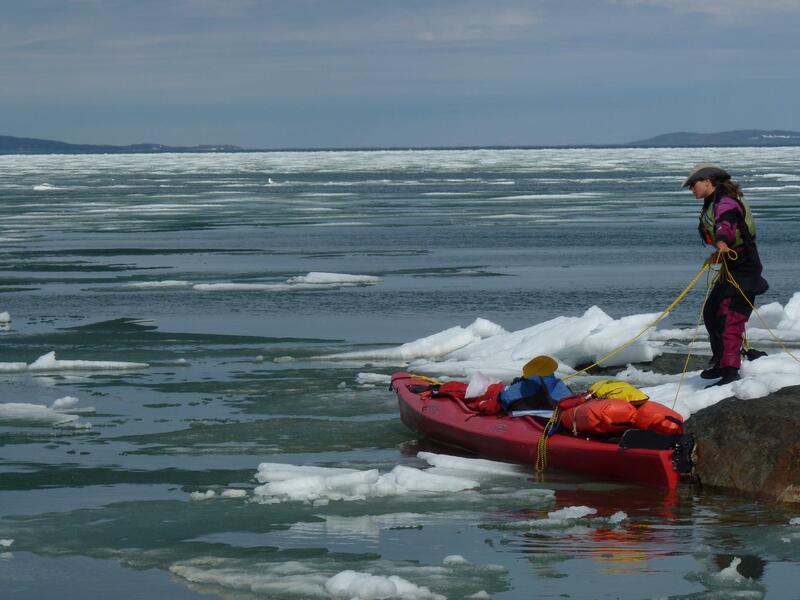 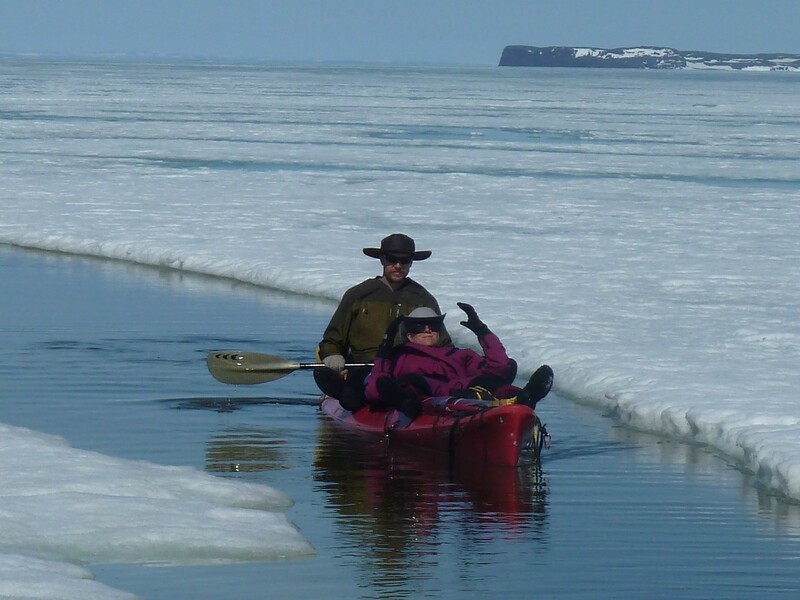 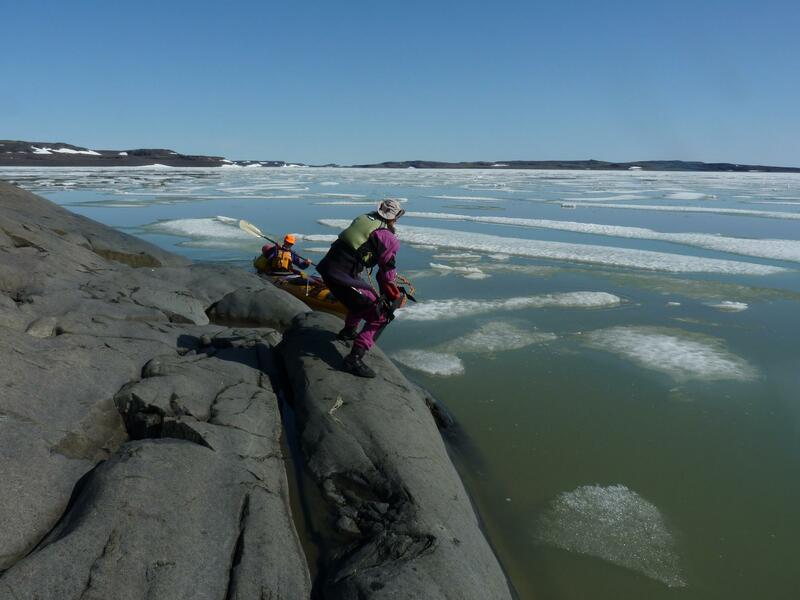 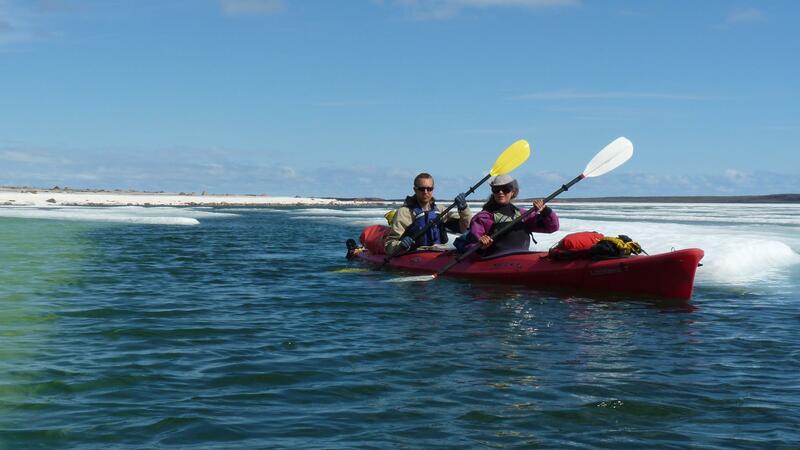 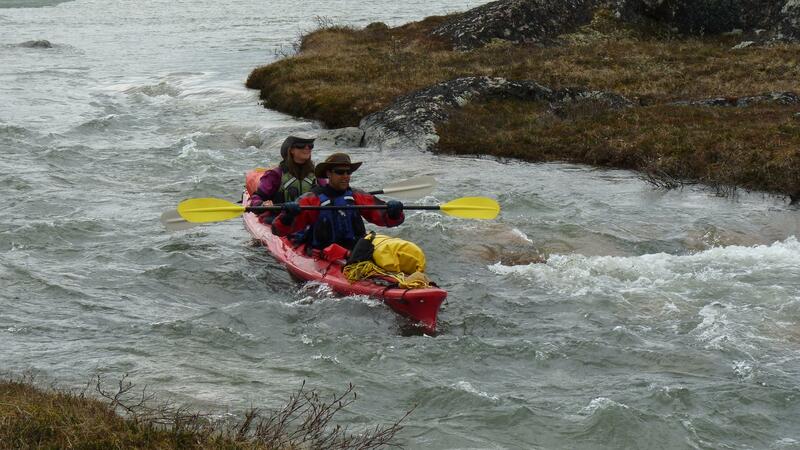 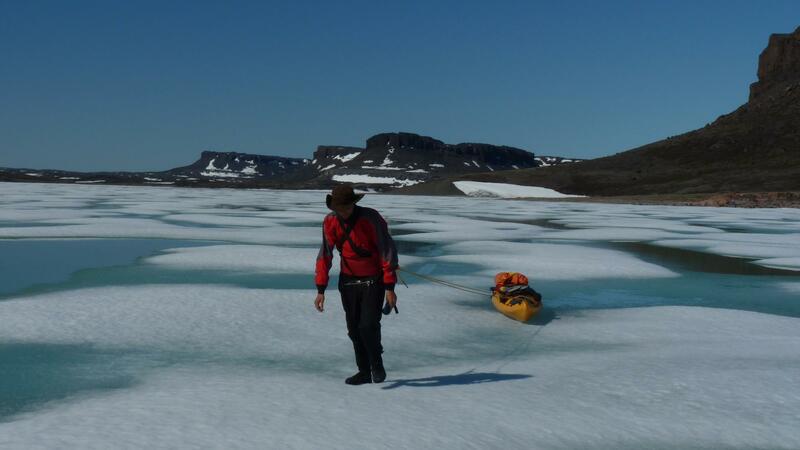 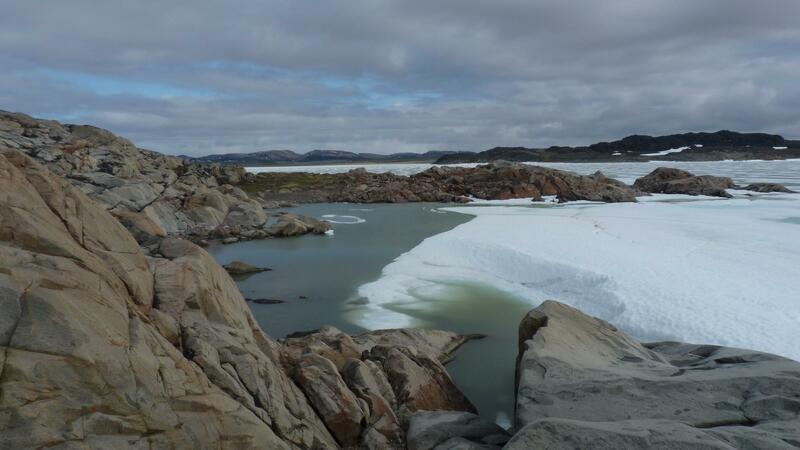 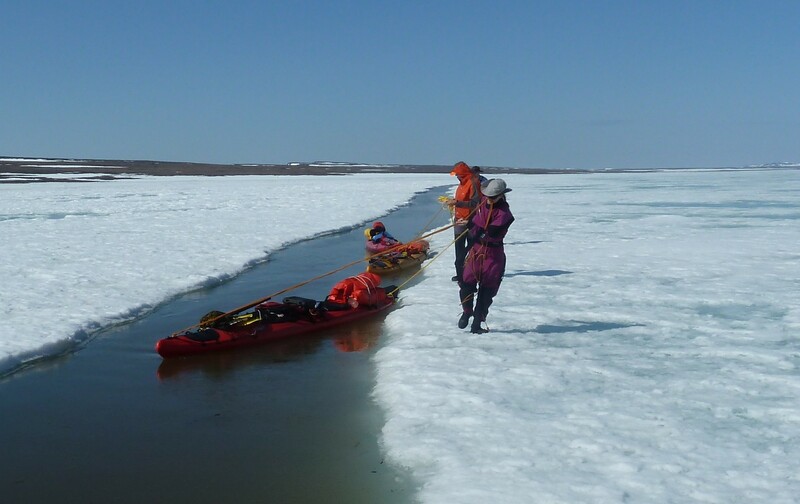 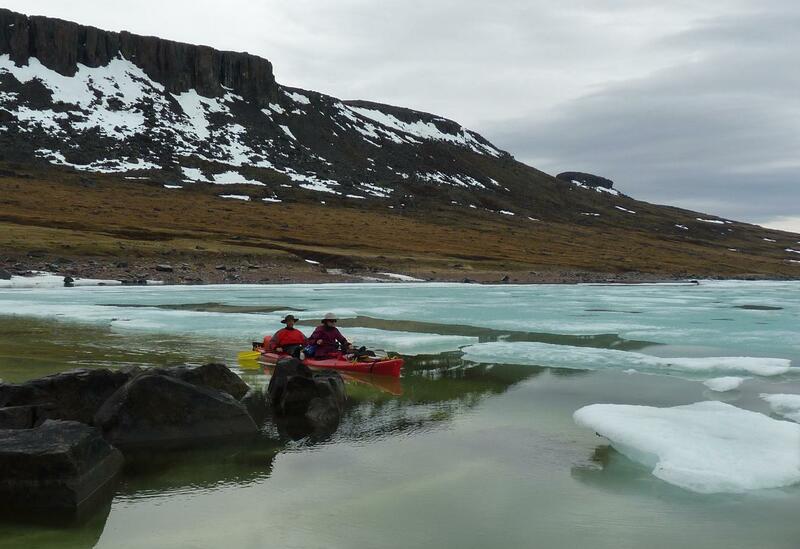 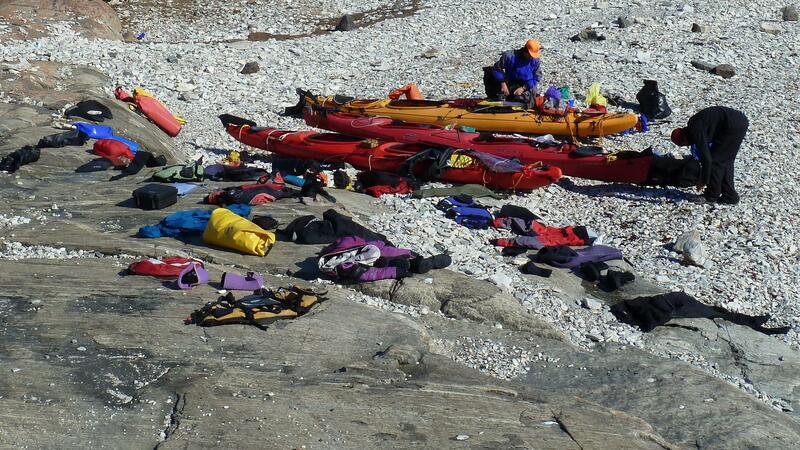 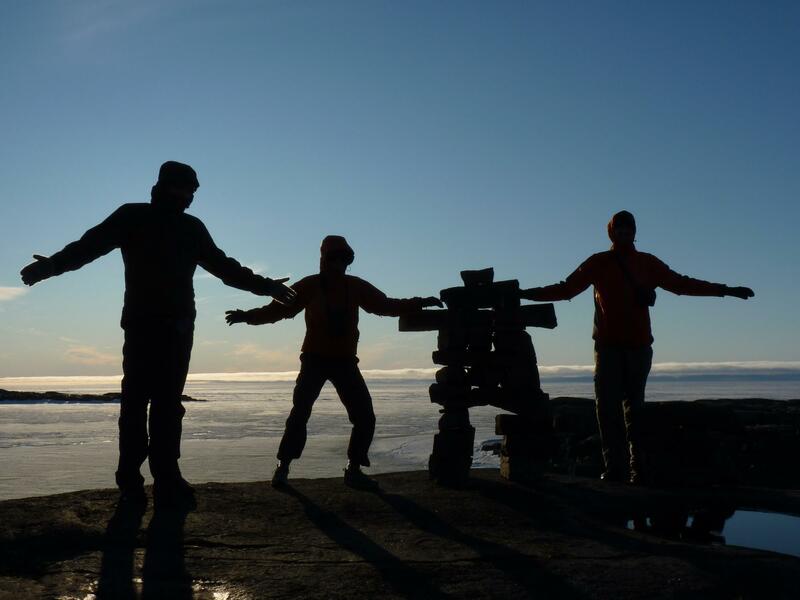 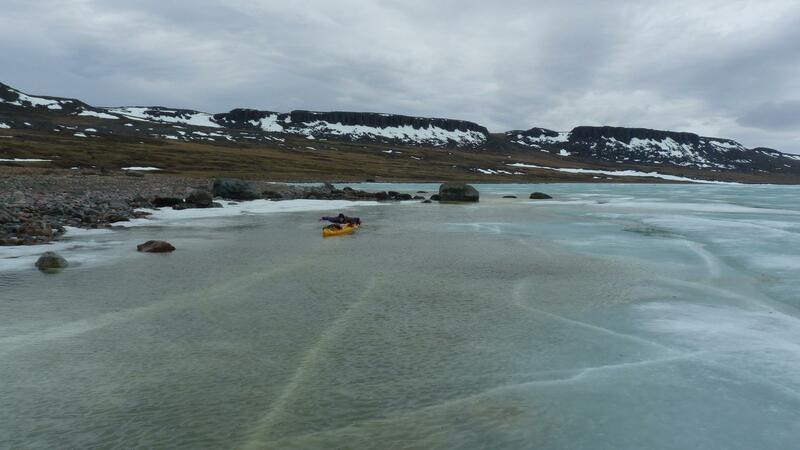 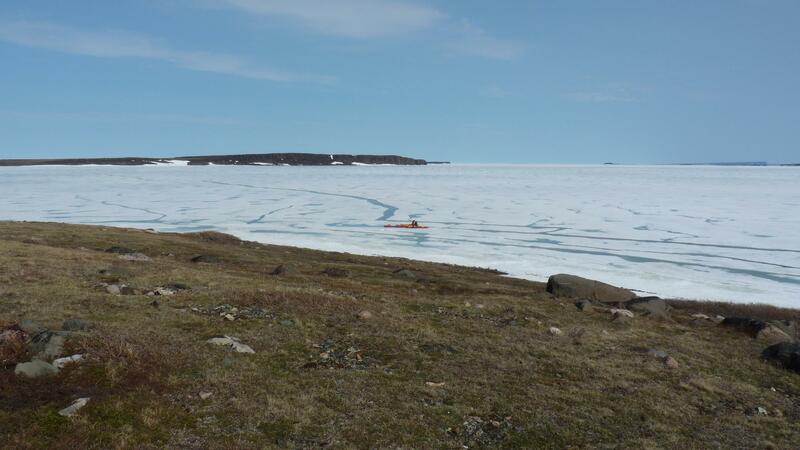 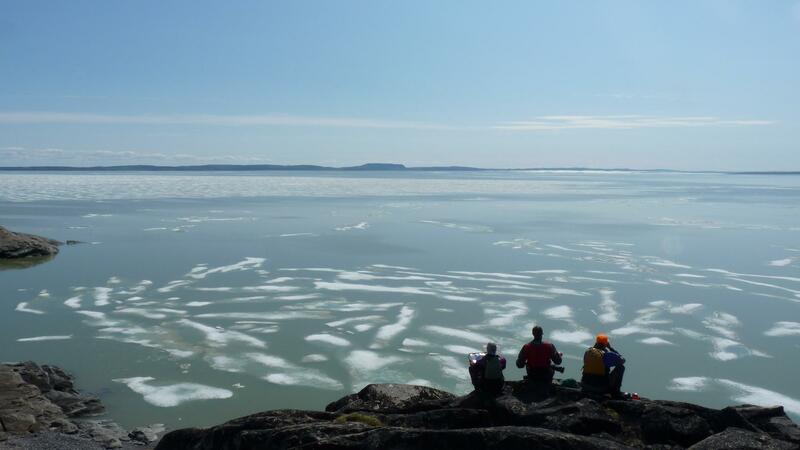 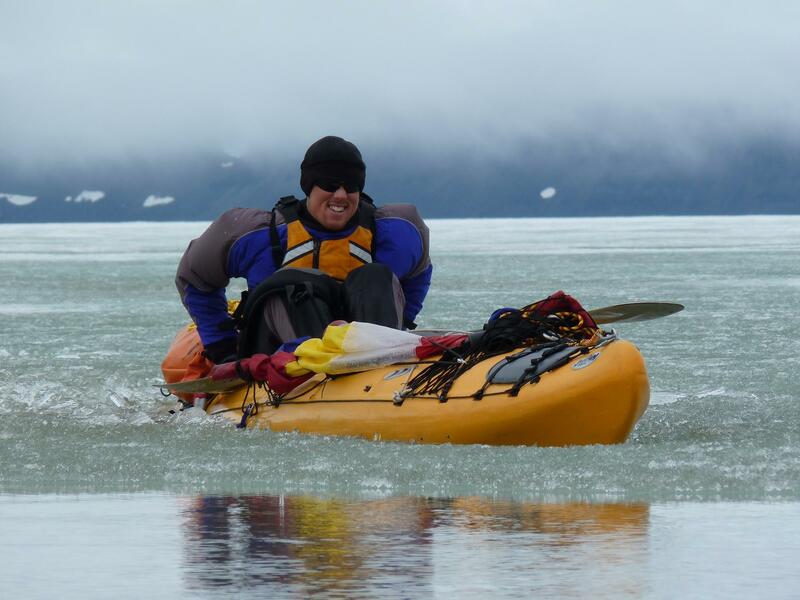 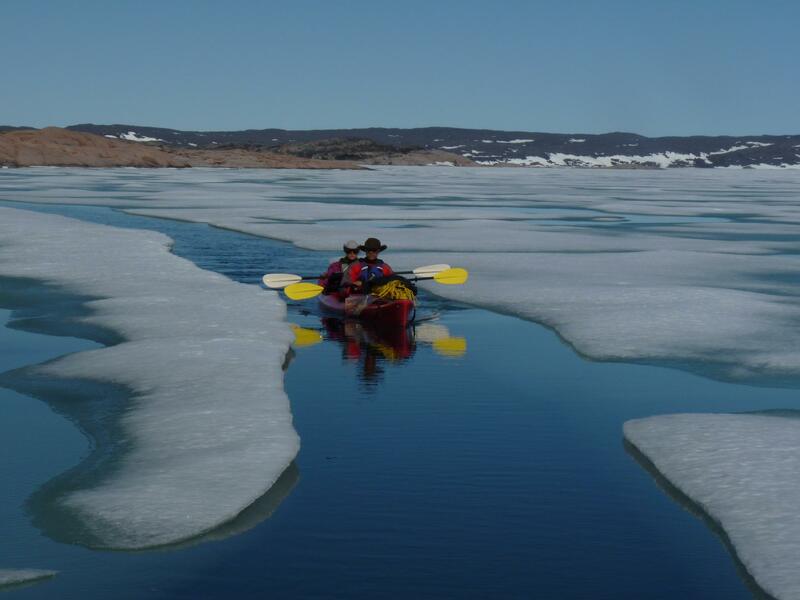 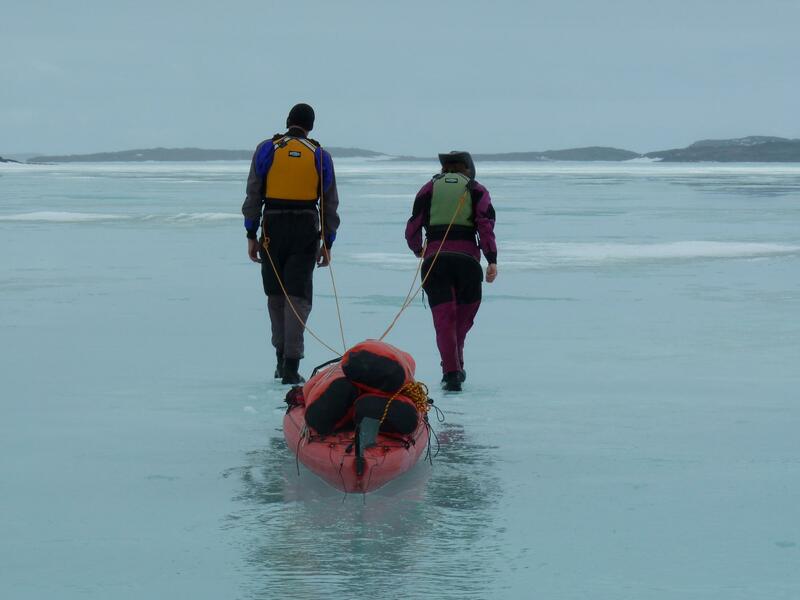 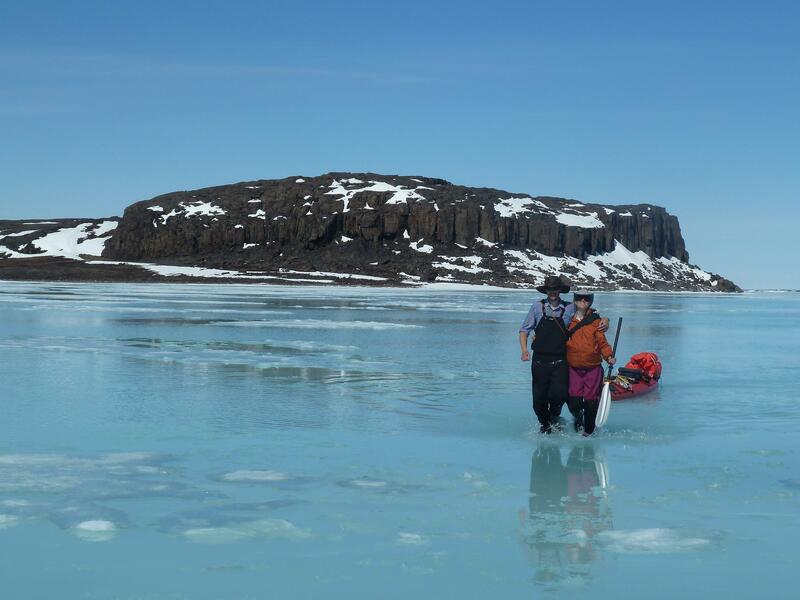 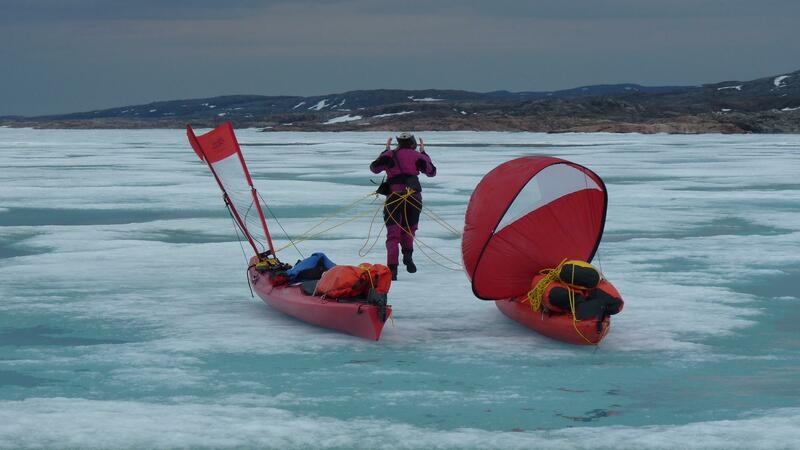 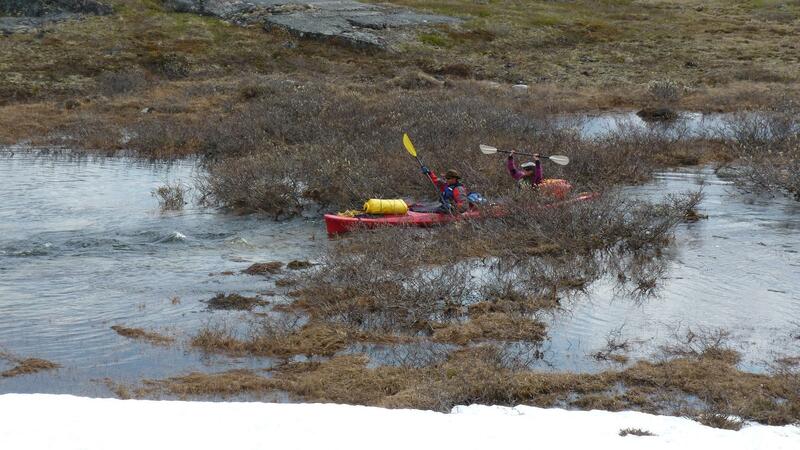 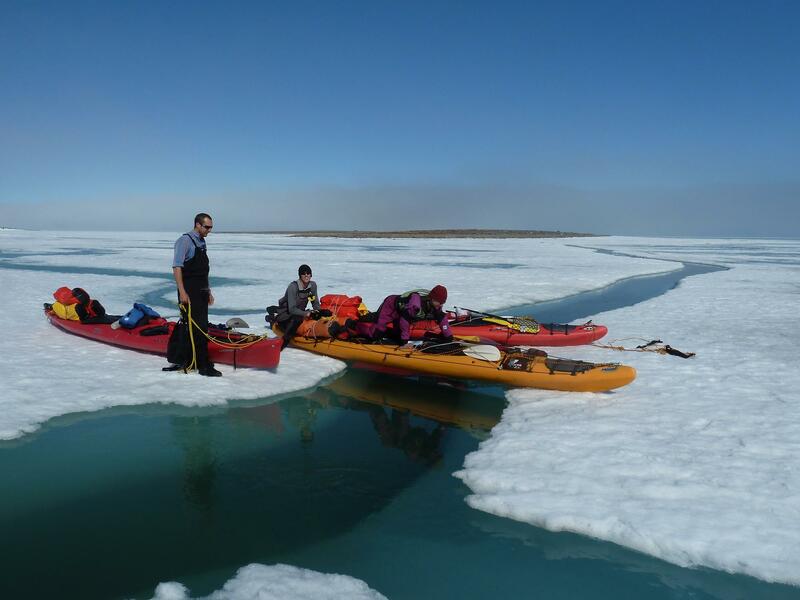 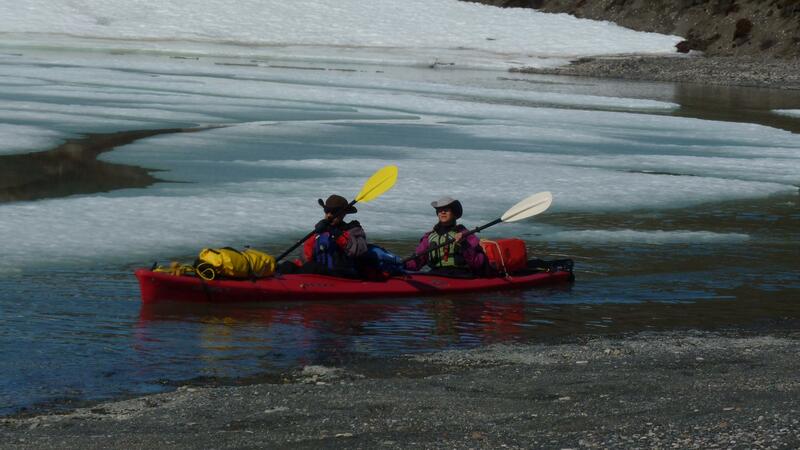 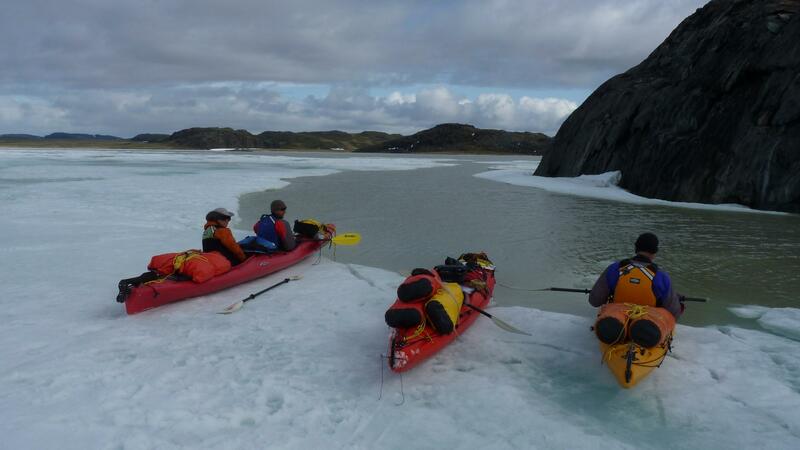 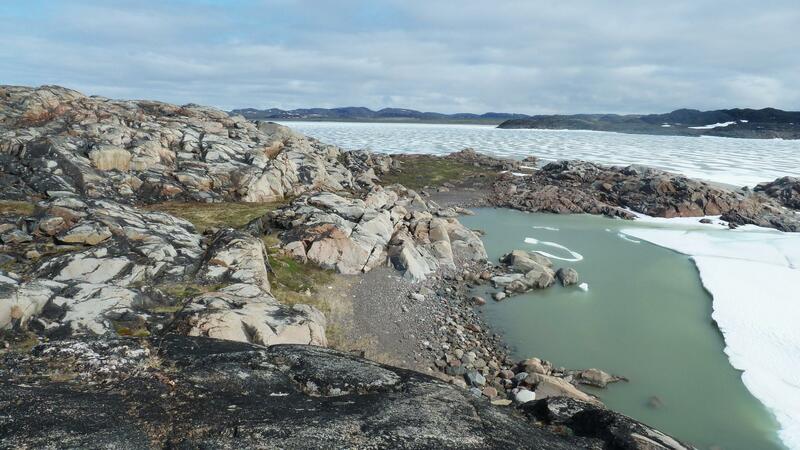 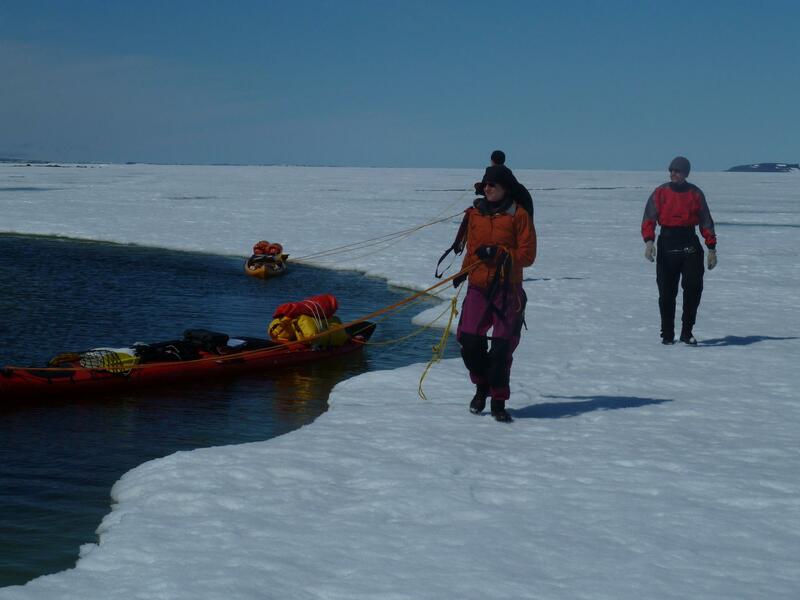 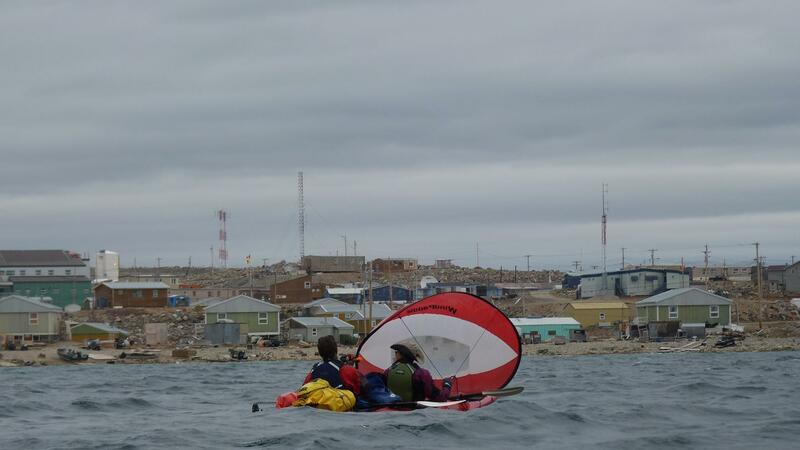 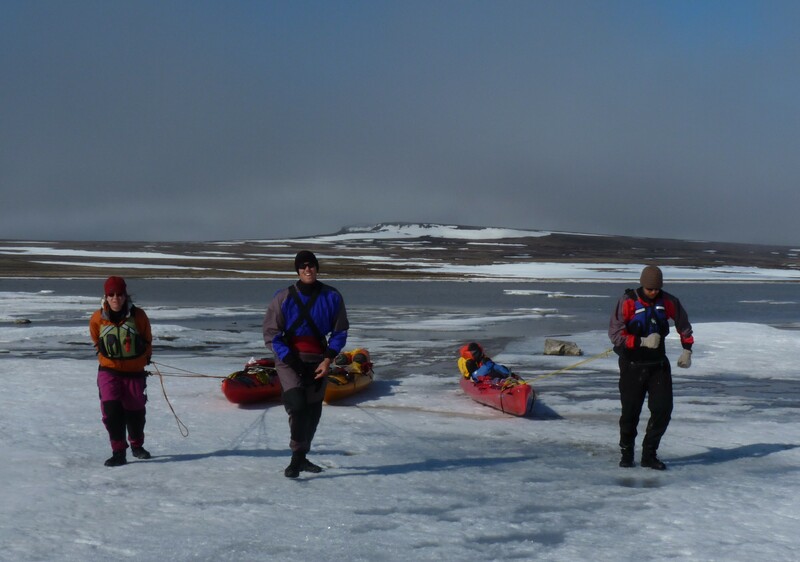 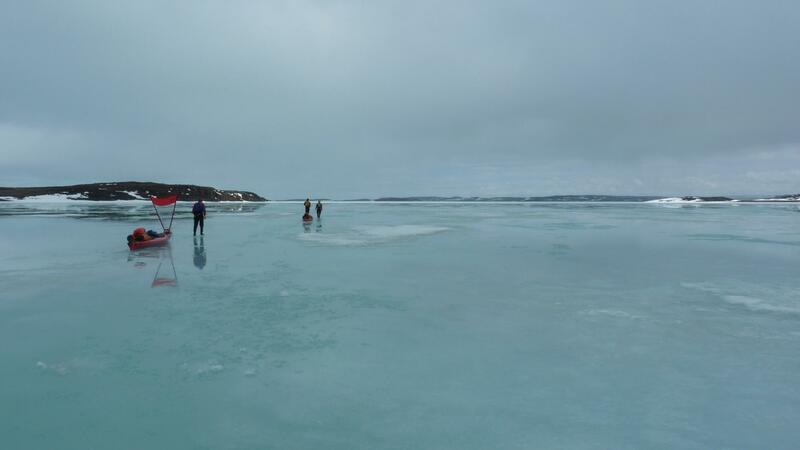 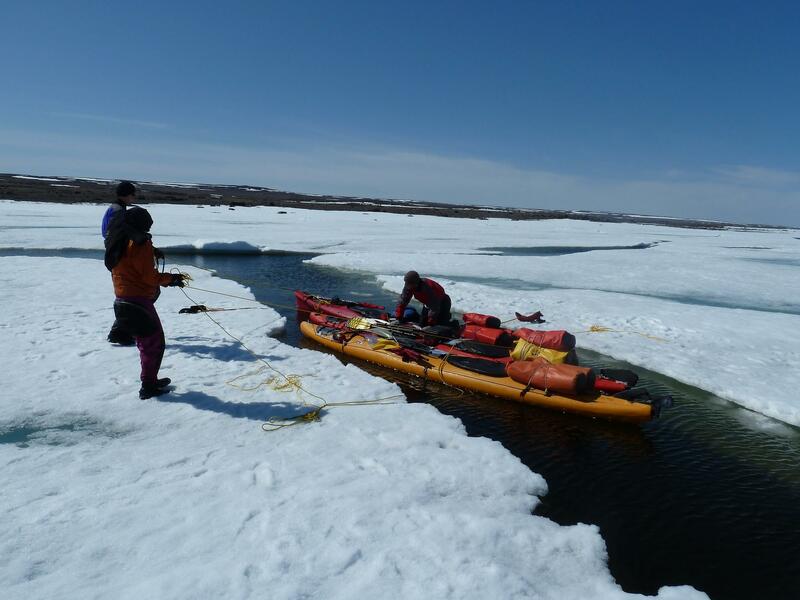 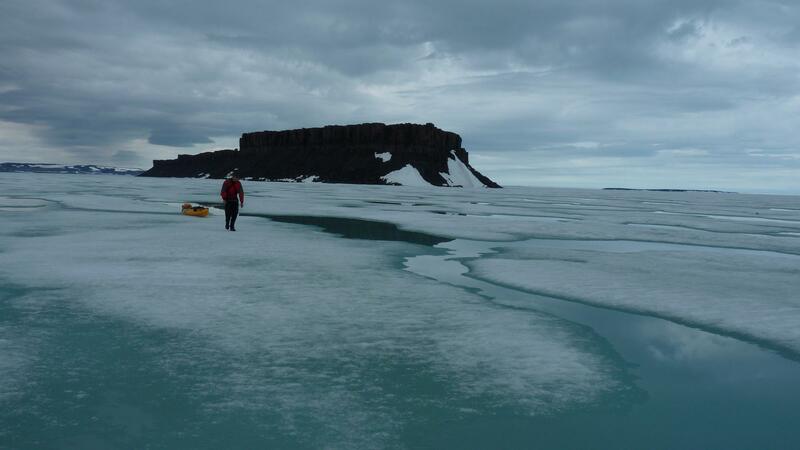 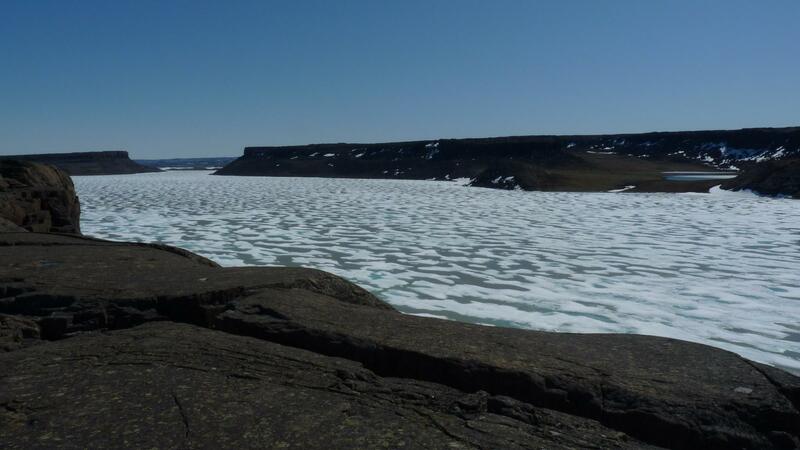 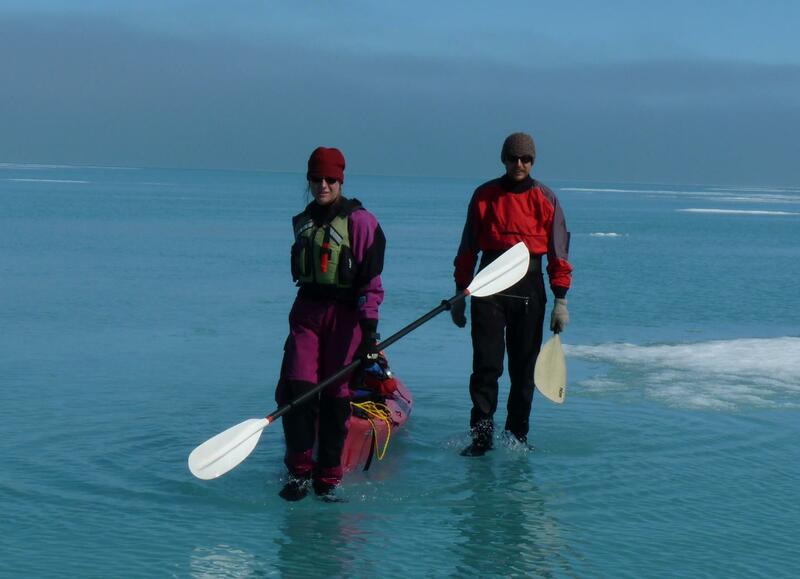 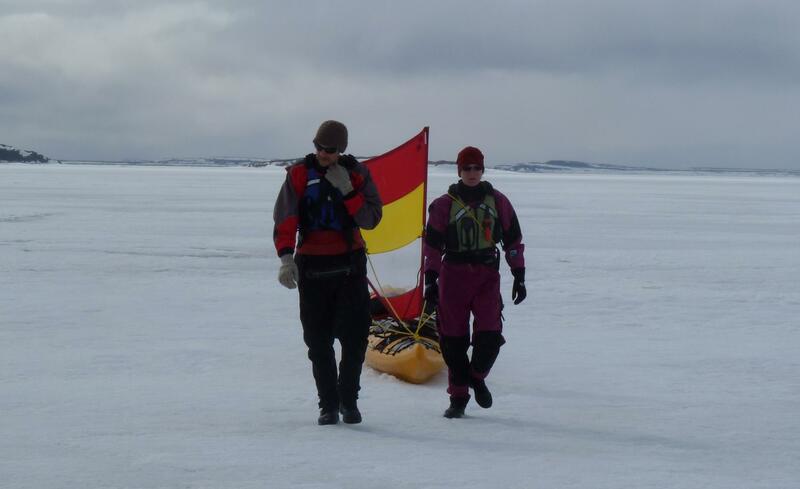 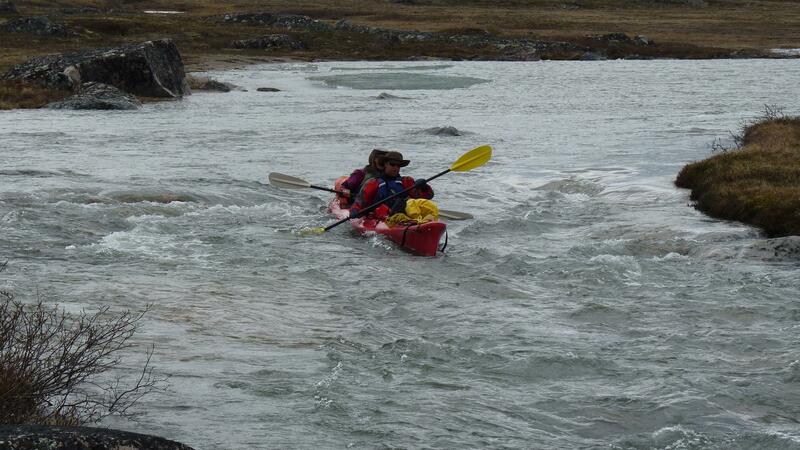 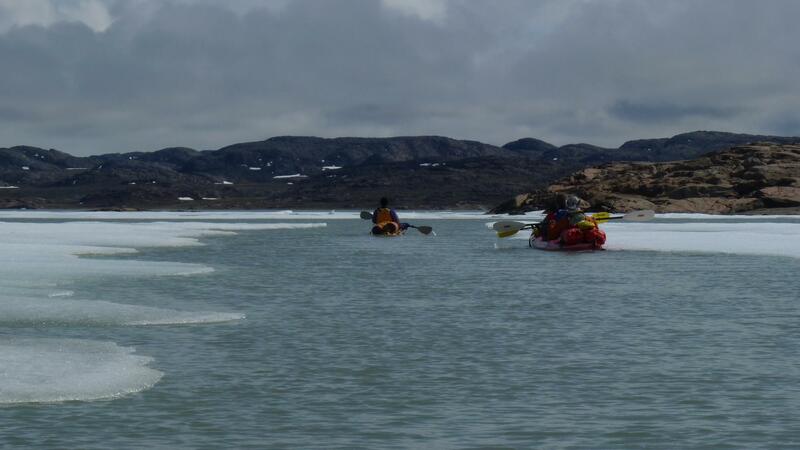 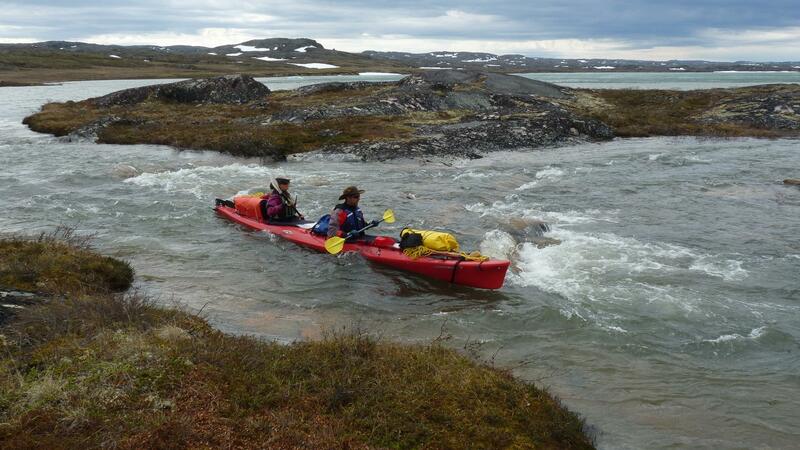 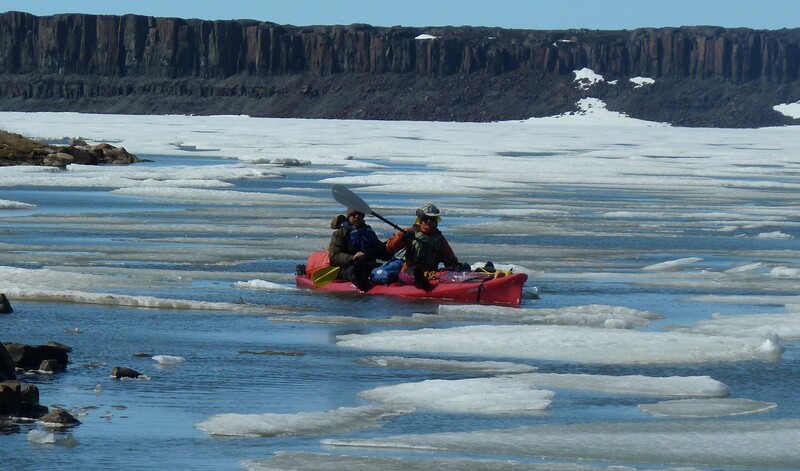 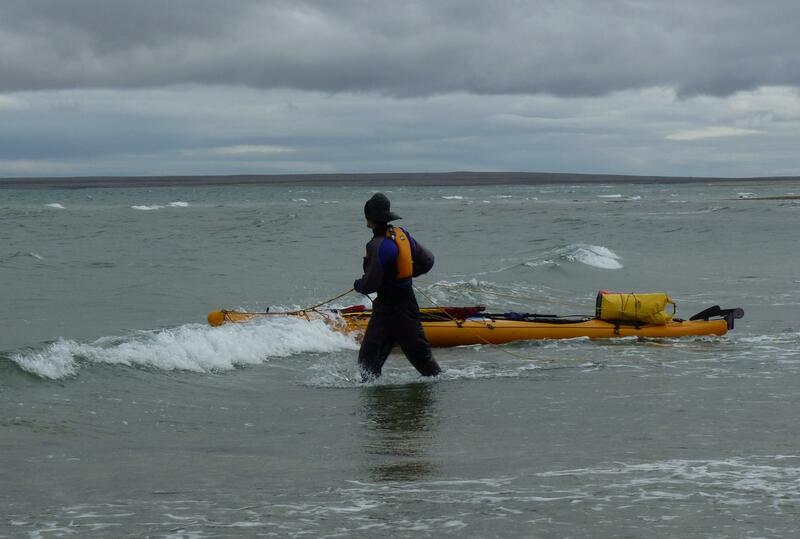 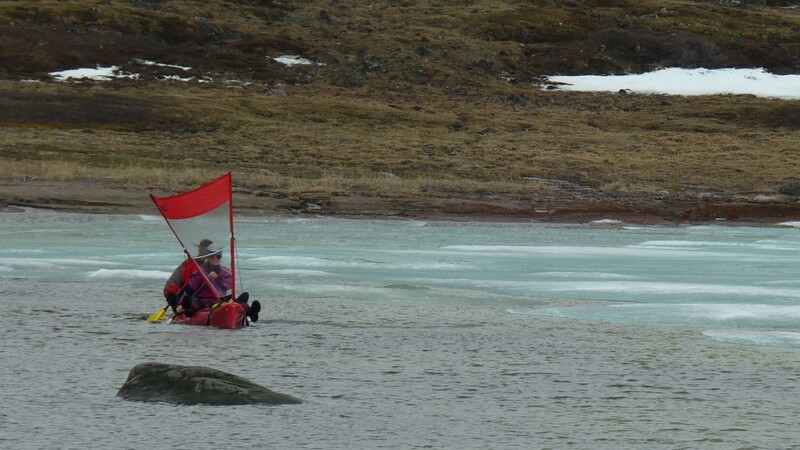 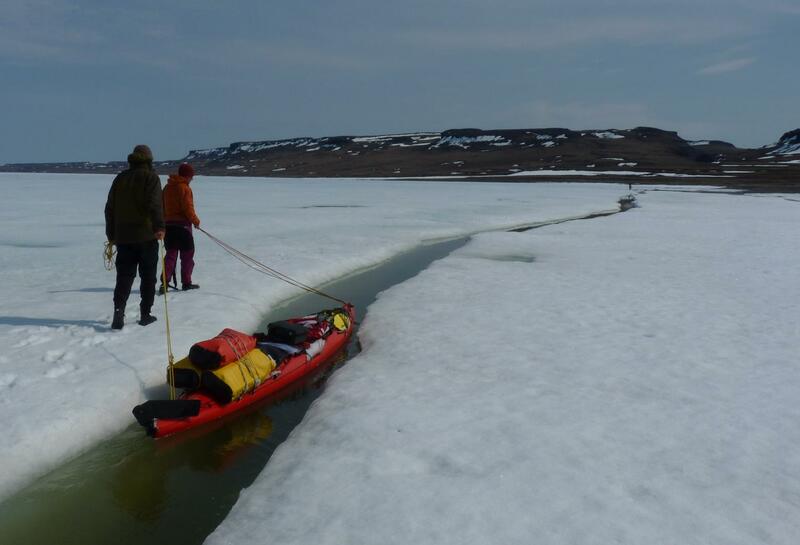 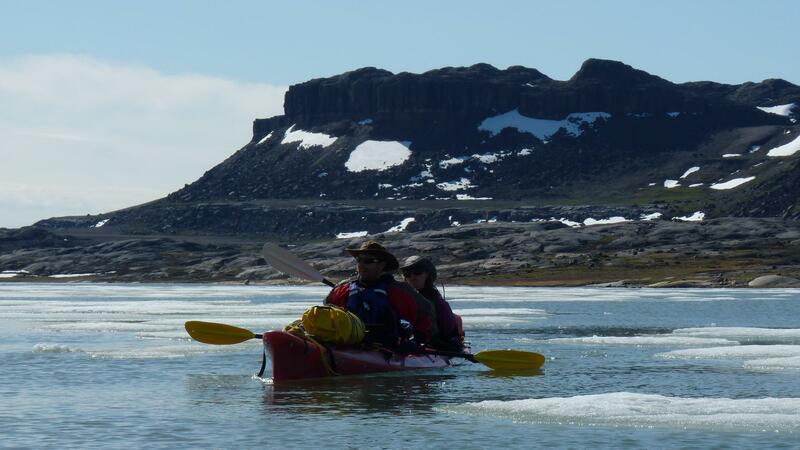 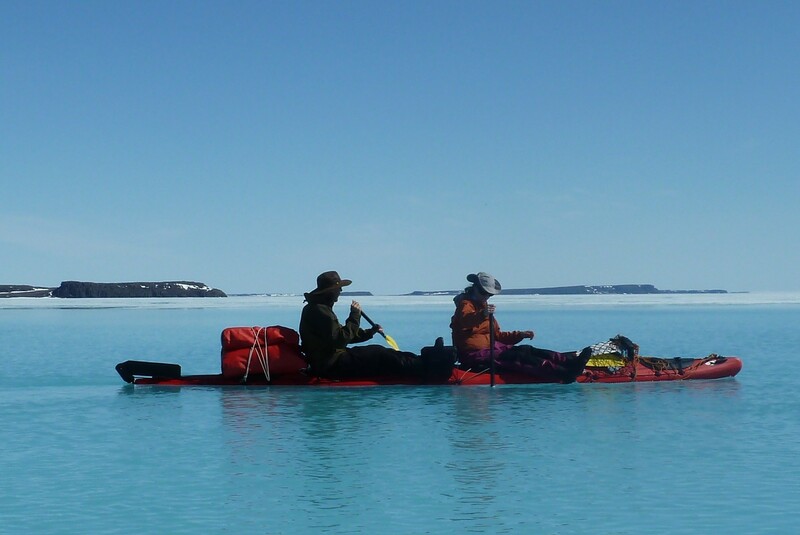 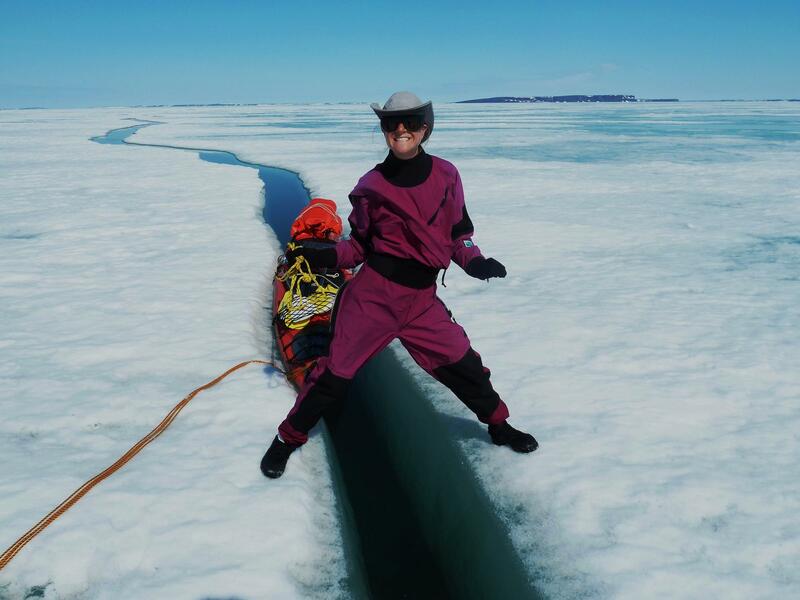 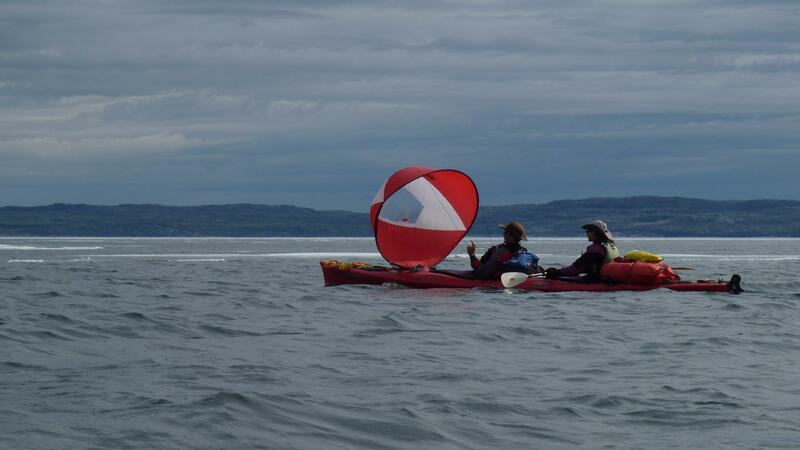 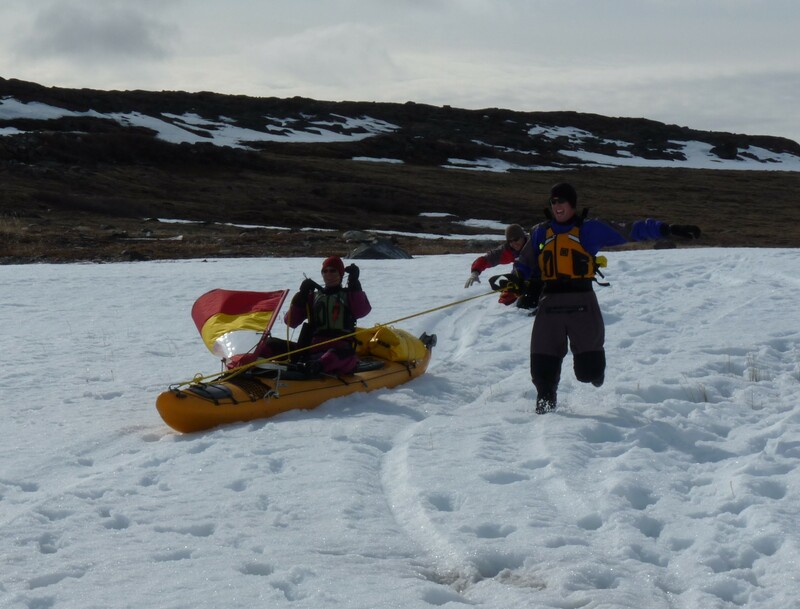 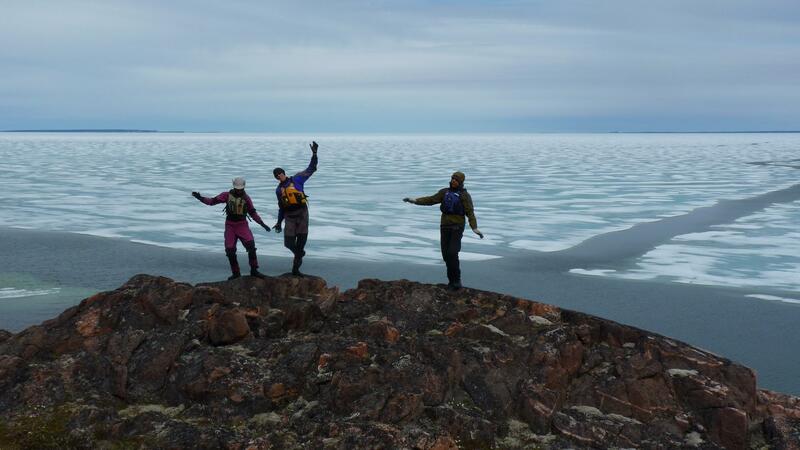 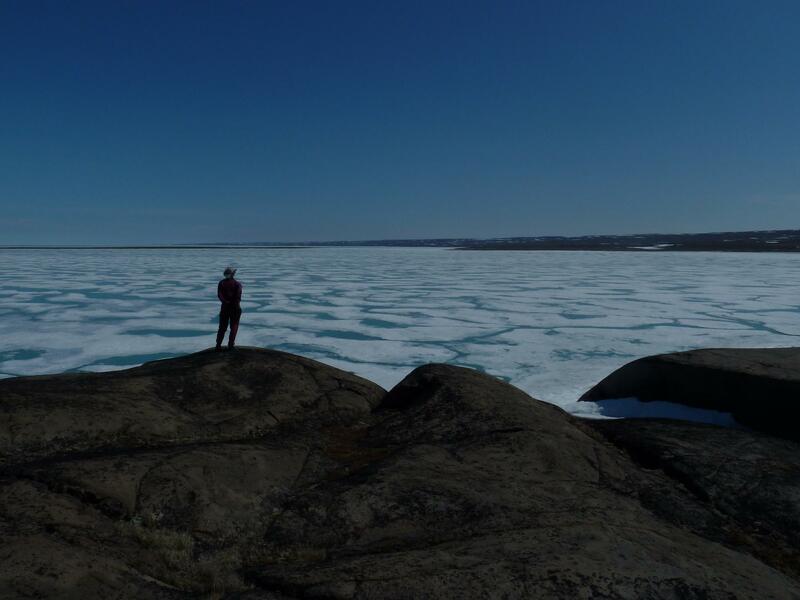 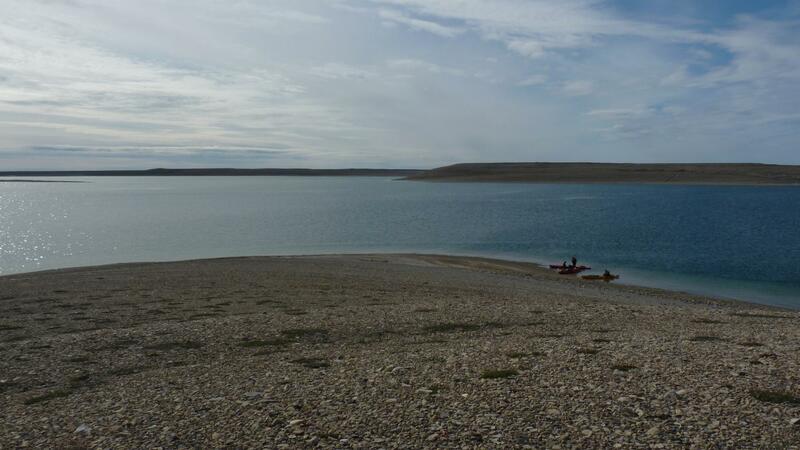 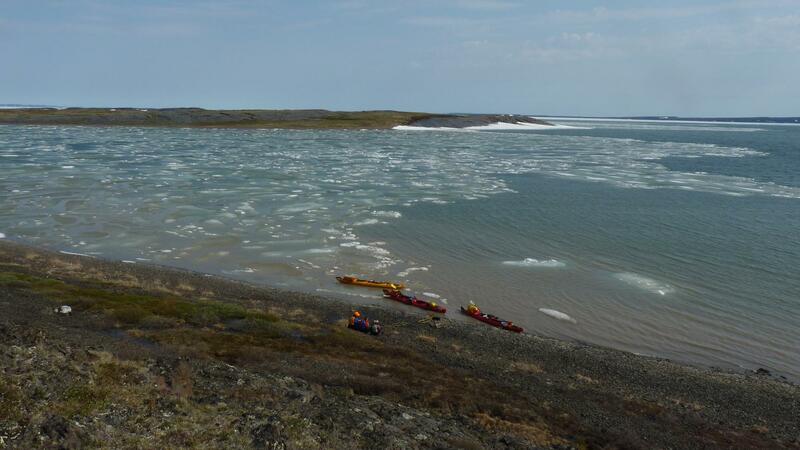 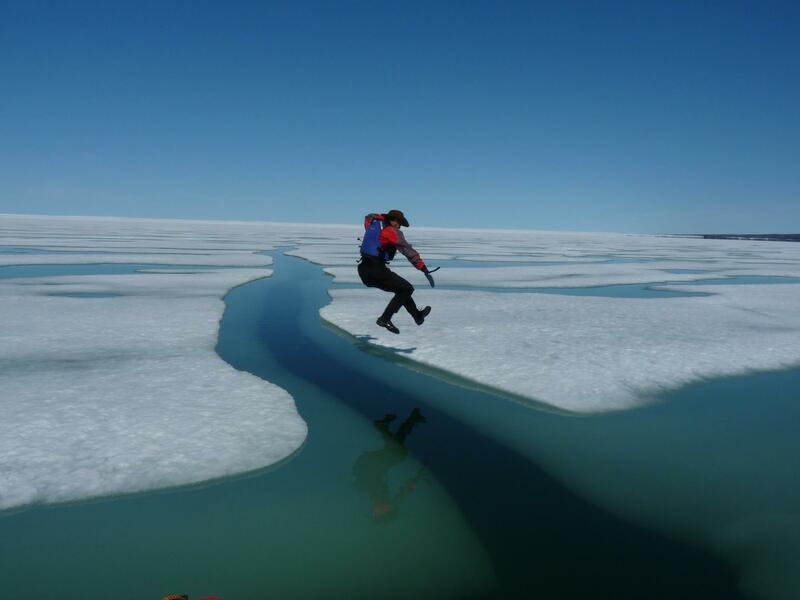 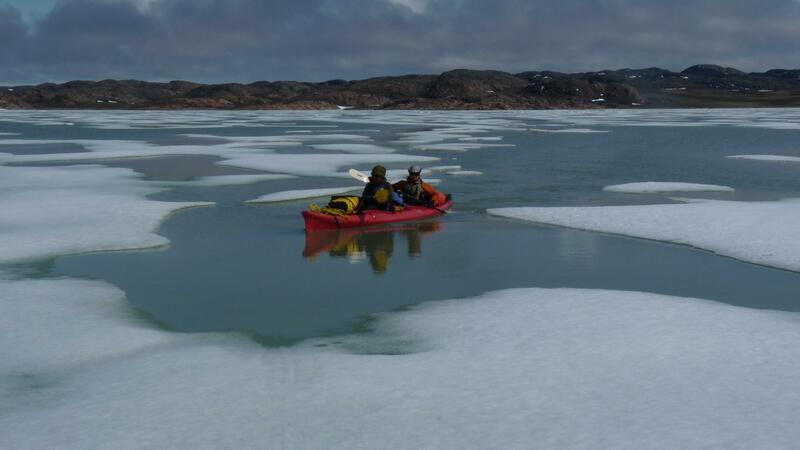 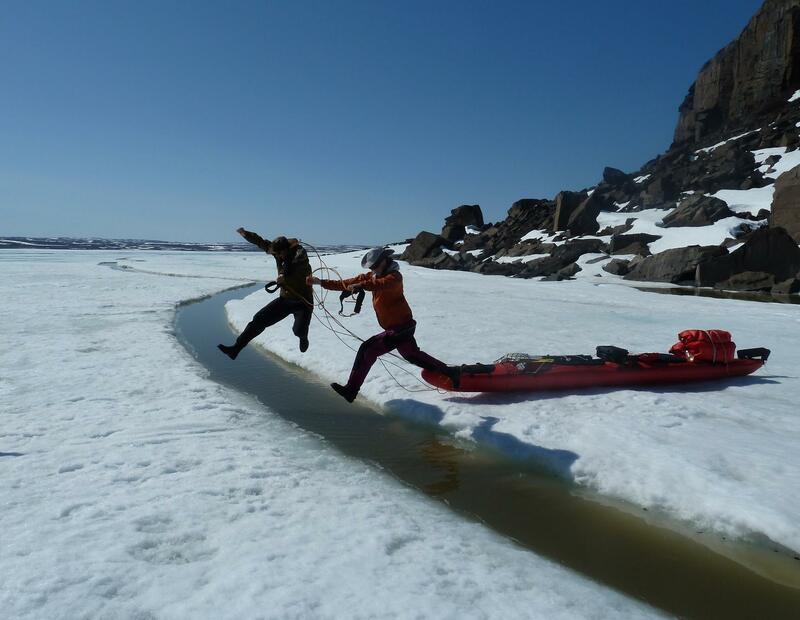 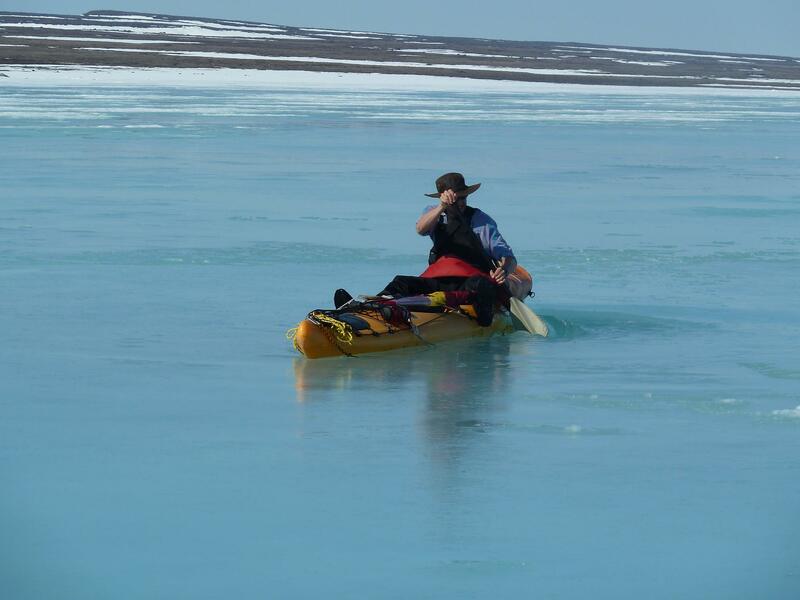 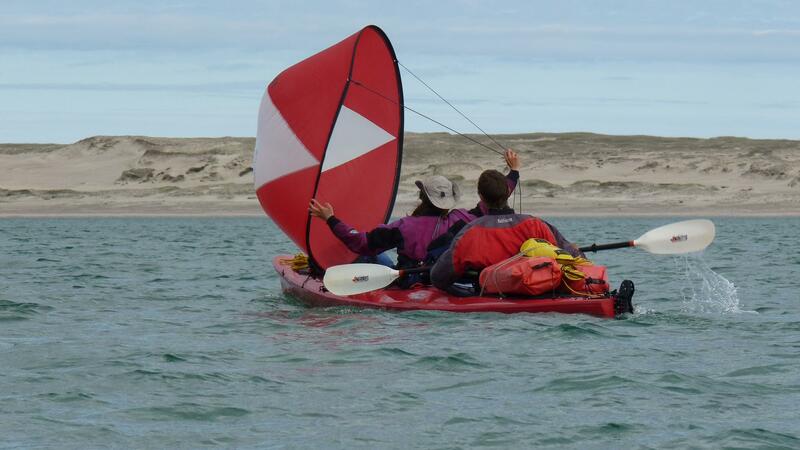 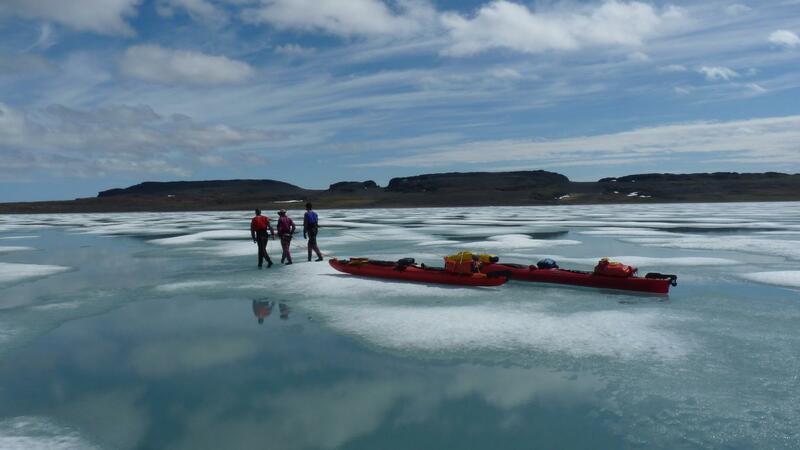 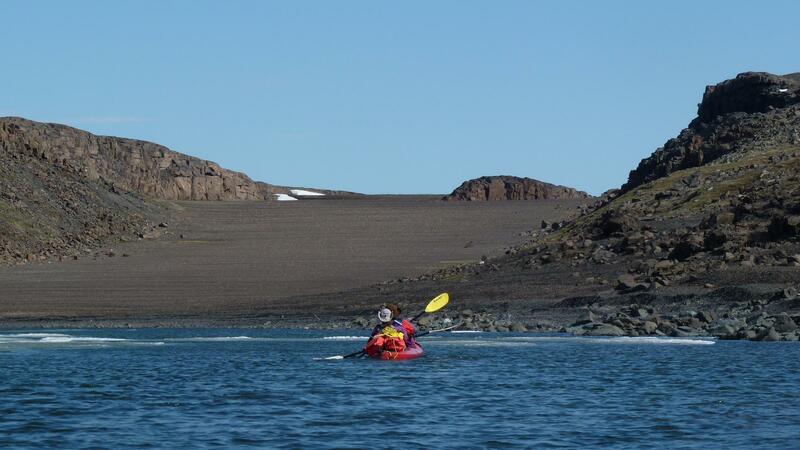 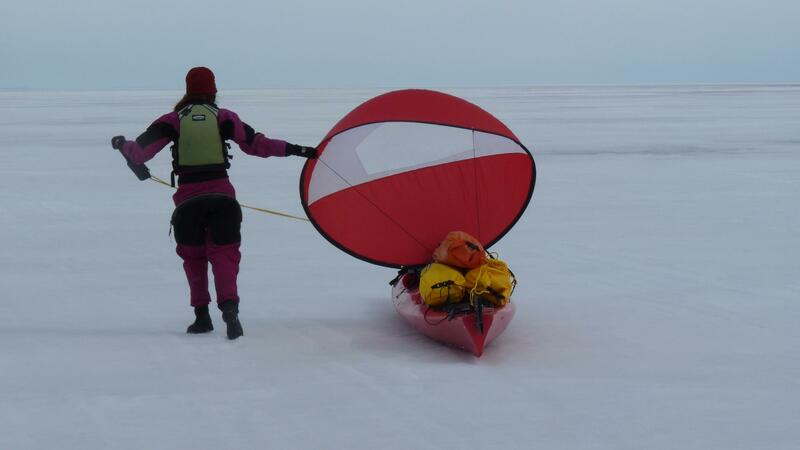 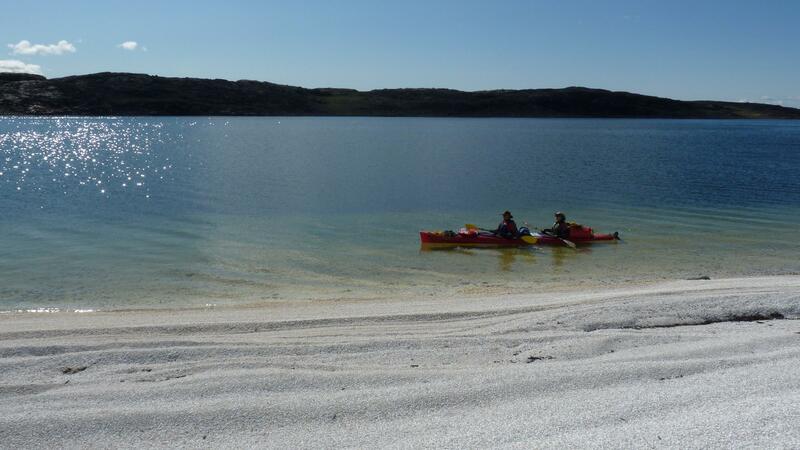 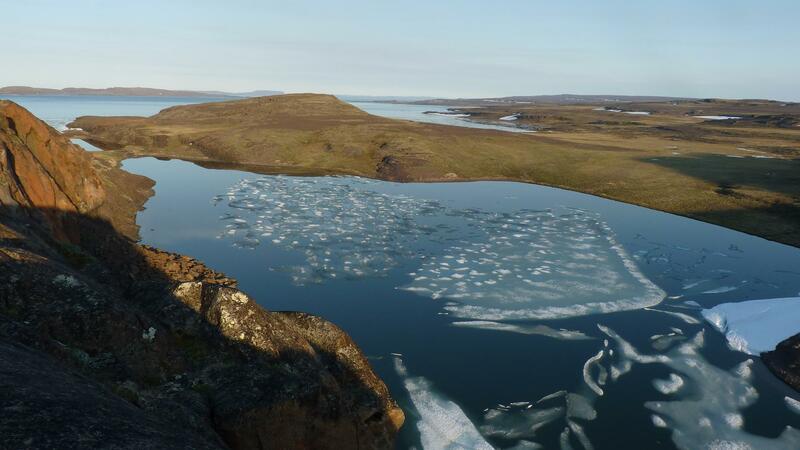 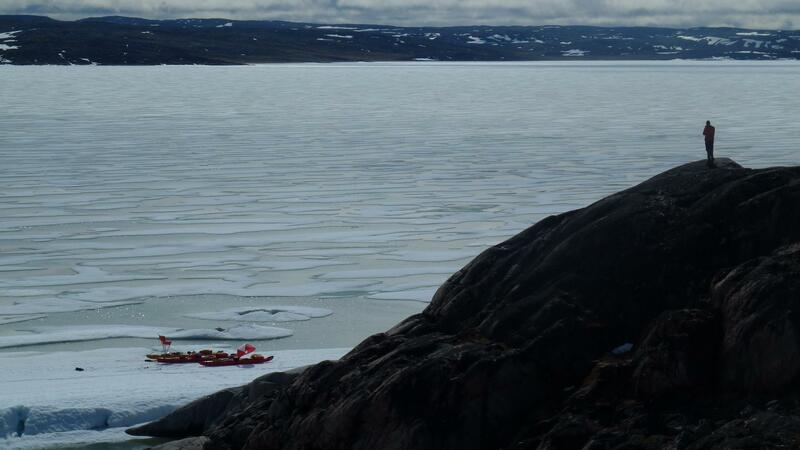 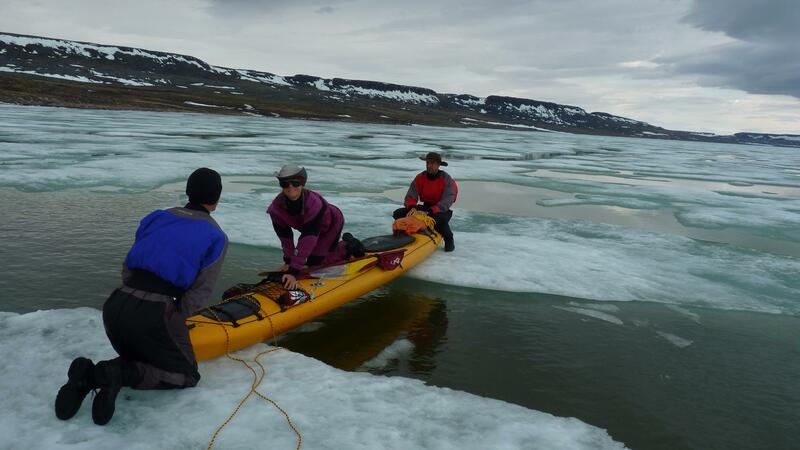 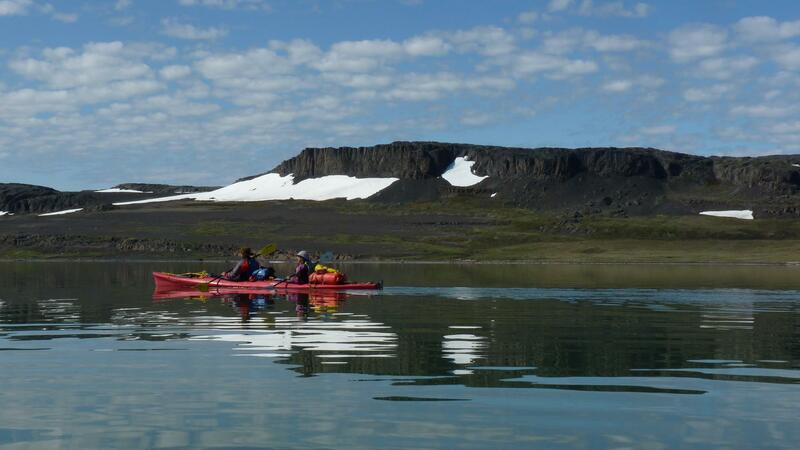 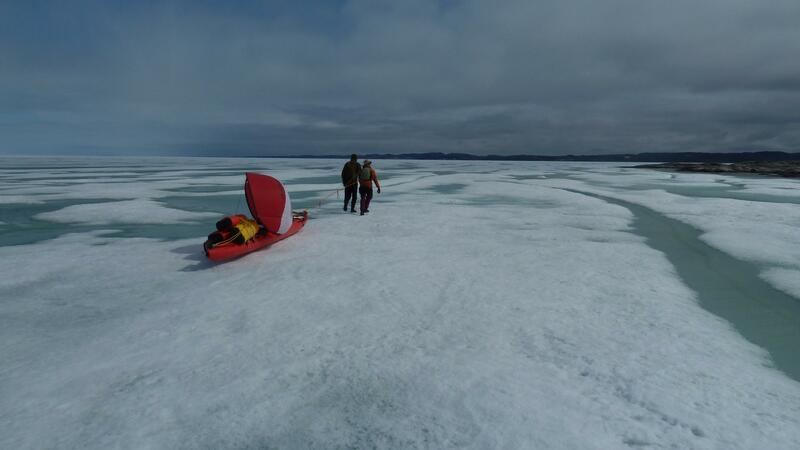 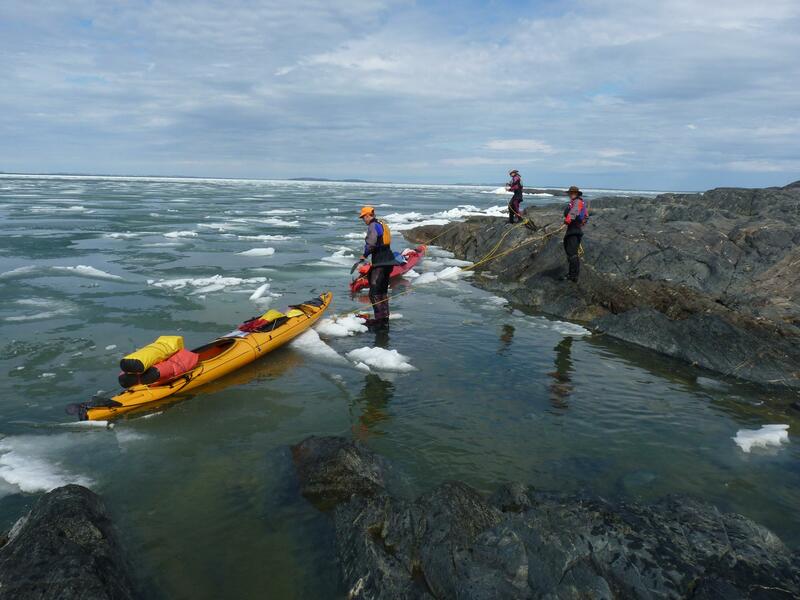 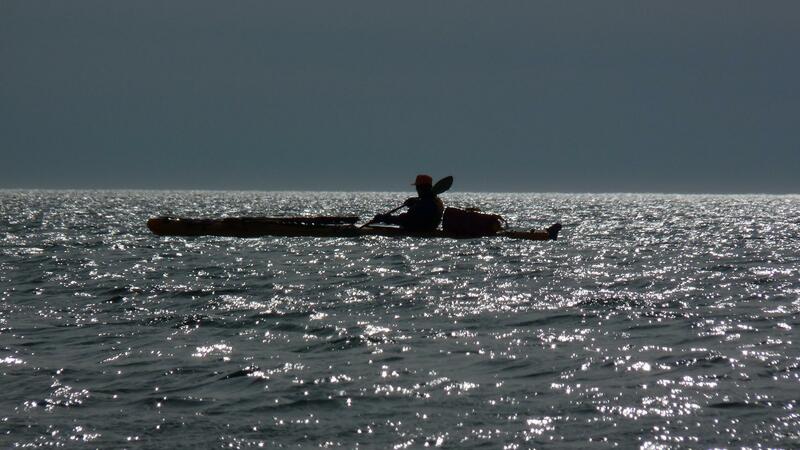 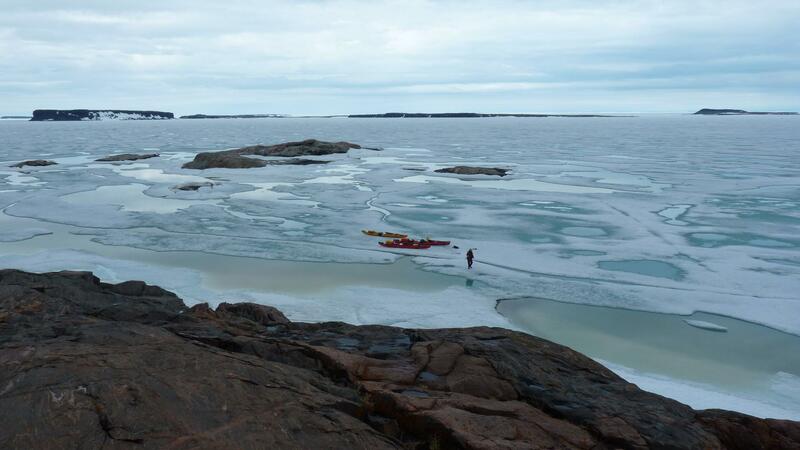 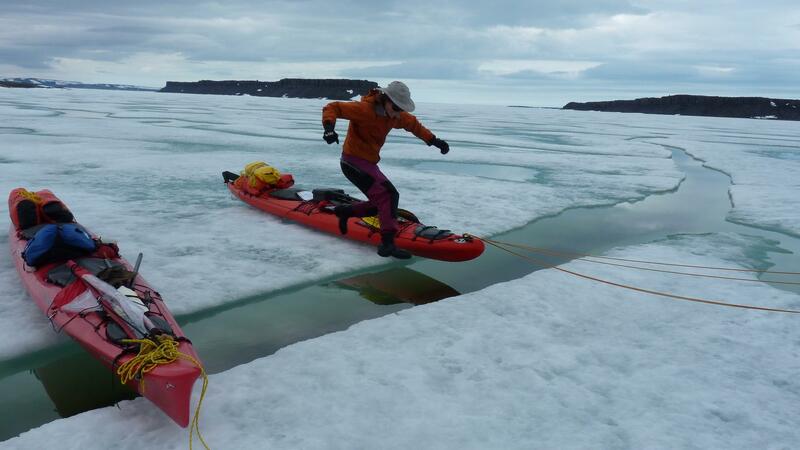 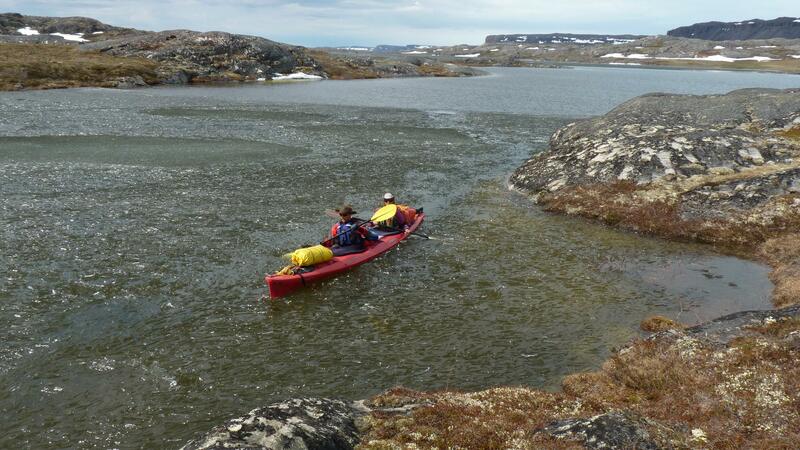 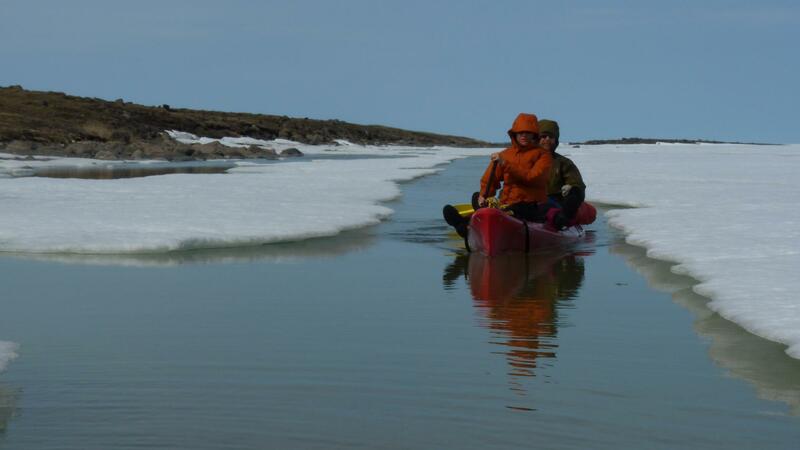 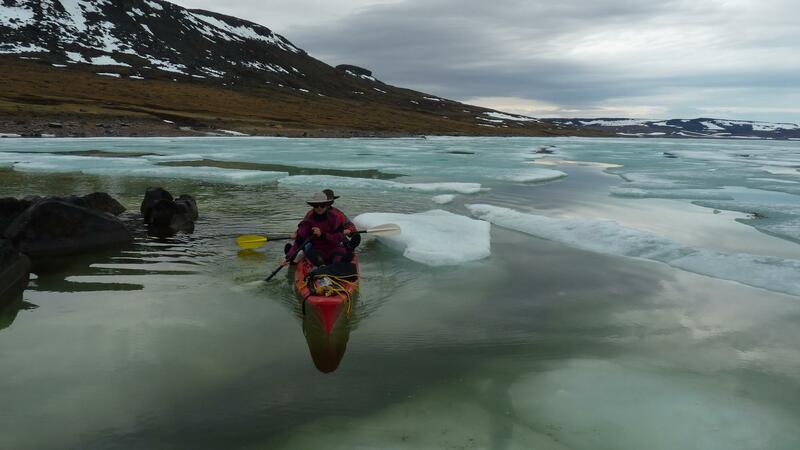 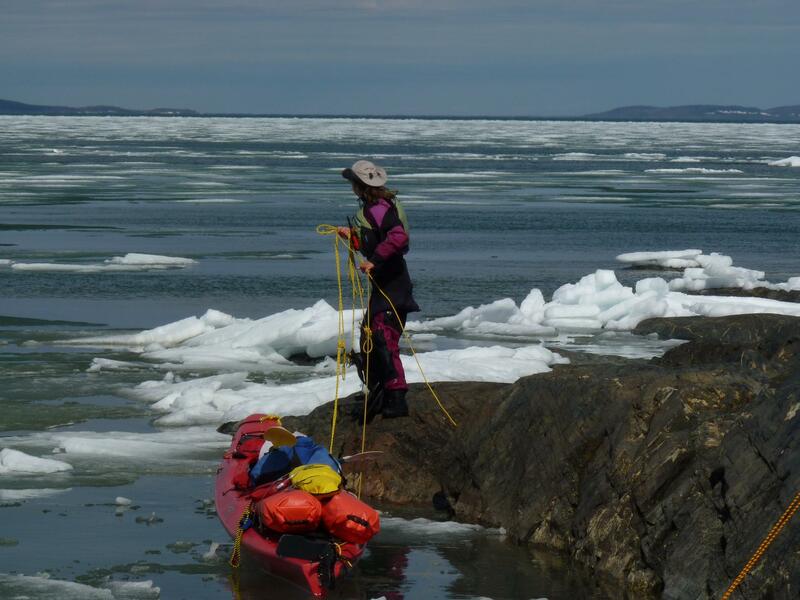 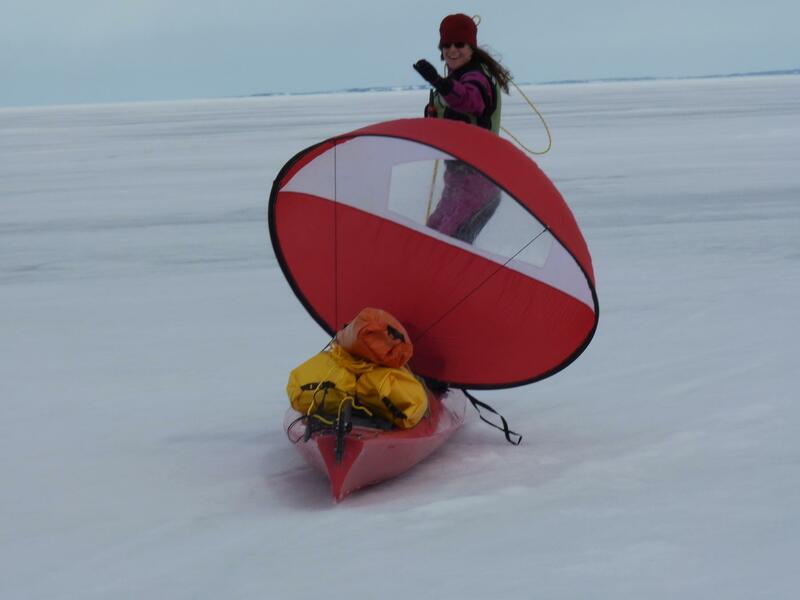 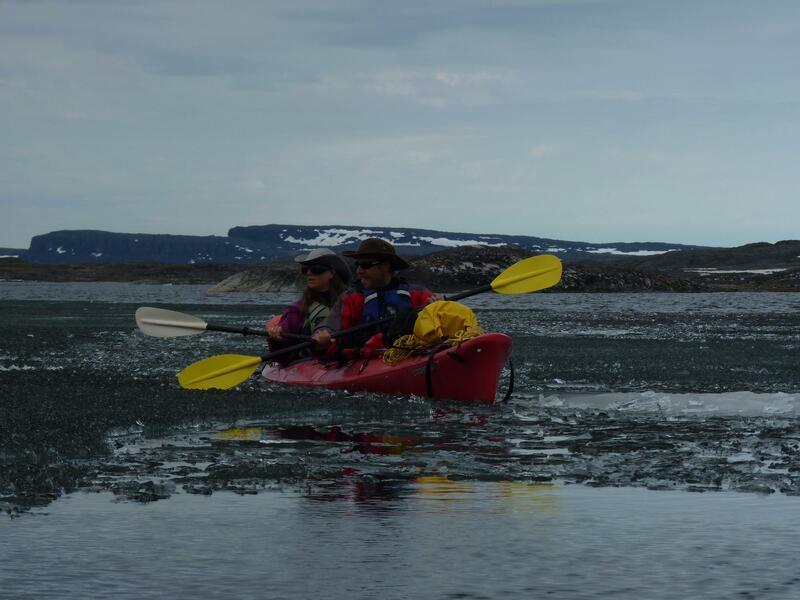 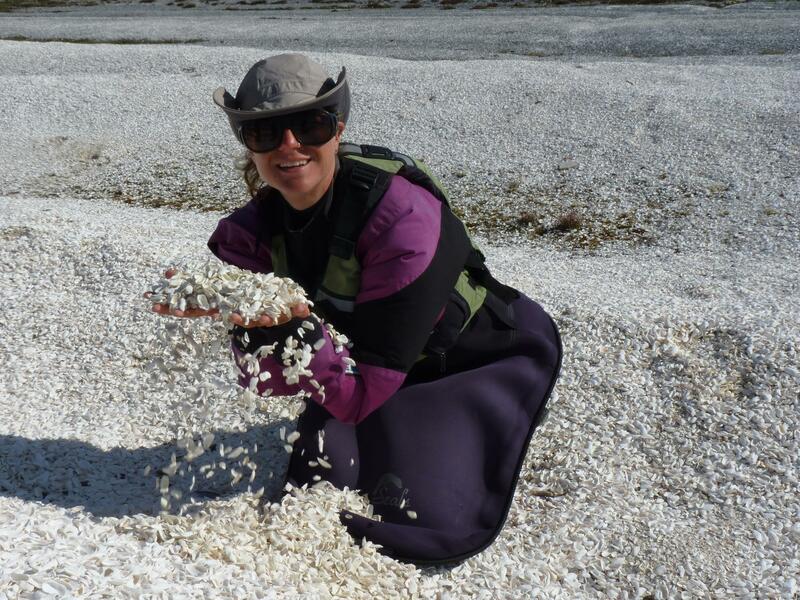 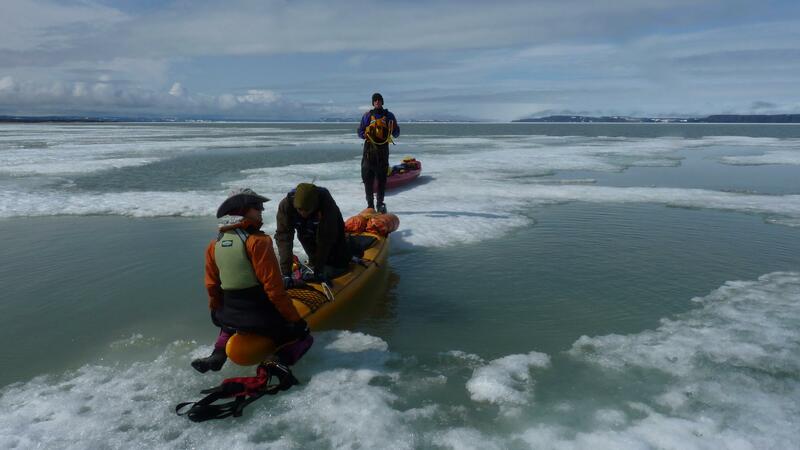 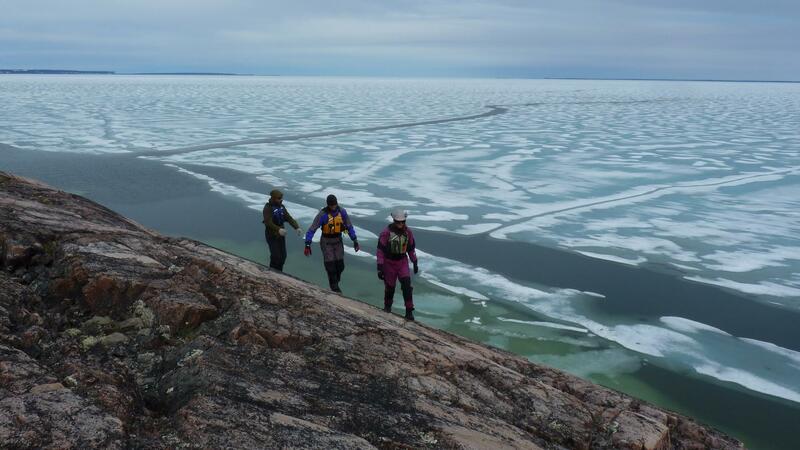 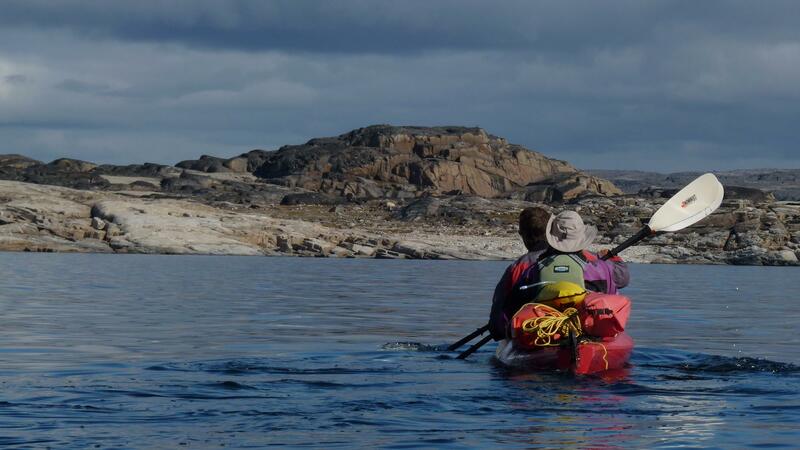 Beginning in early June, they spent the first three weeks pulling the kayaks over the ice and utilizing shore leads until they were finally able to paddle unimpeded by ice. 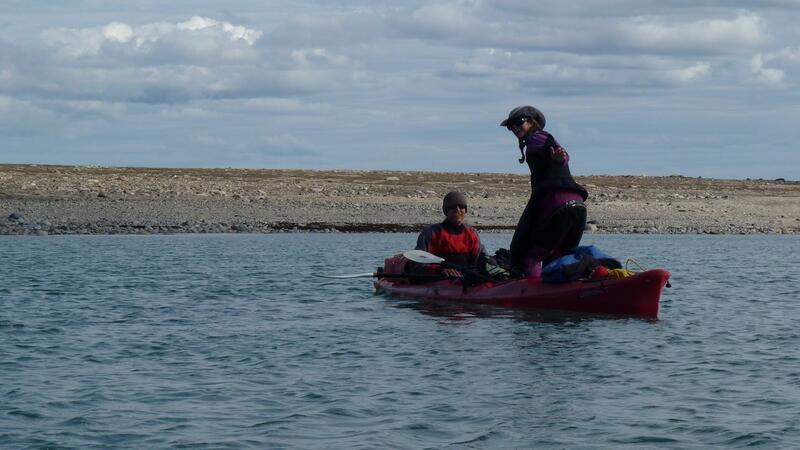 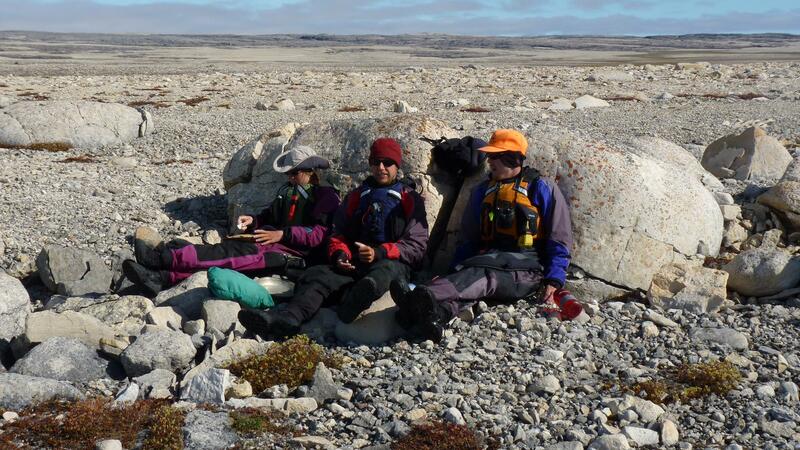 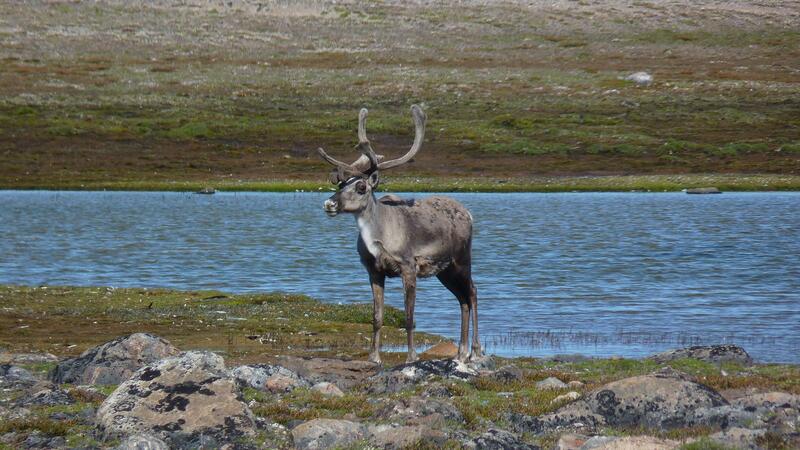 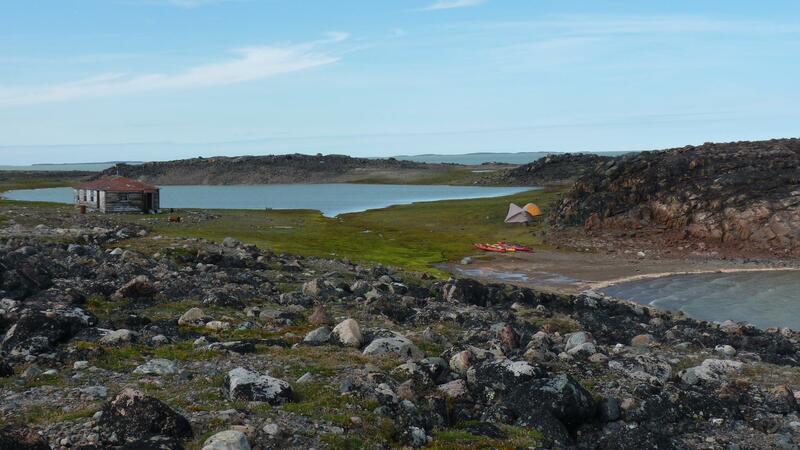 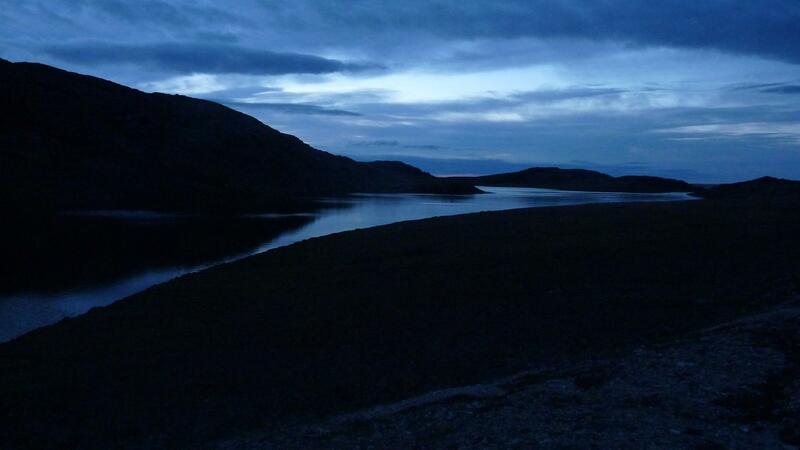 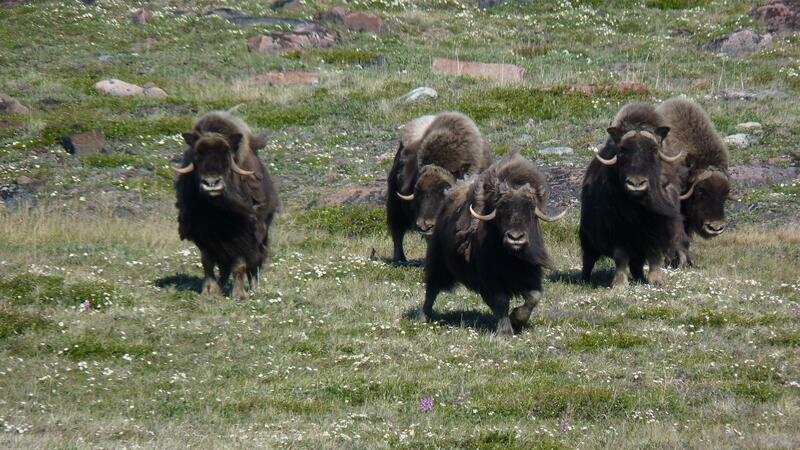 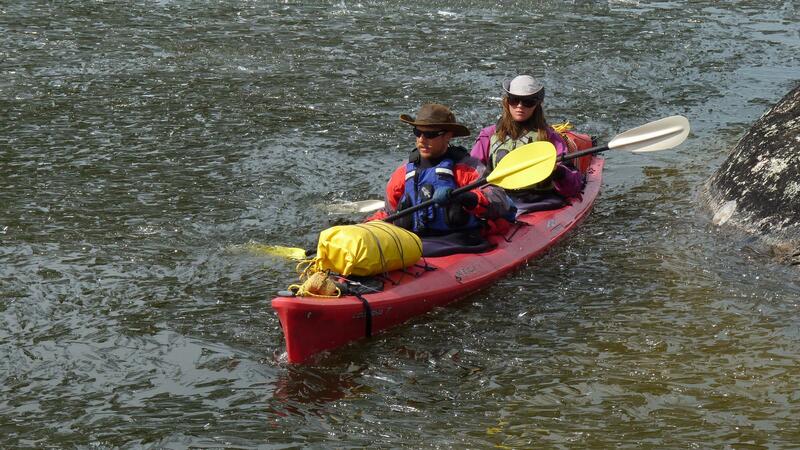 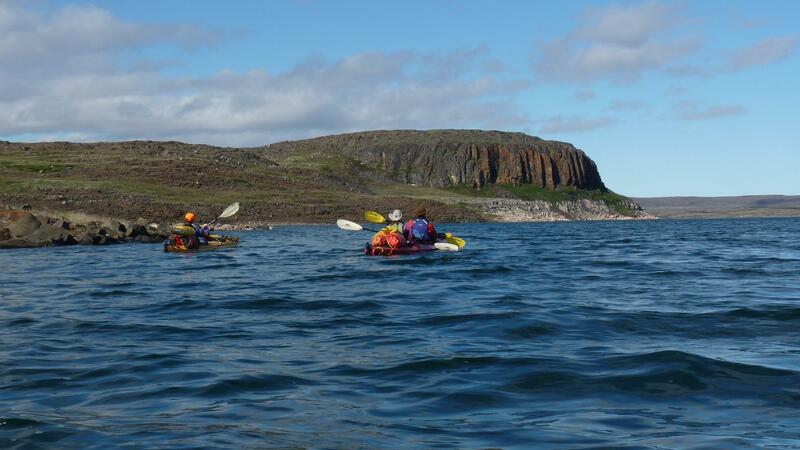 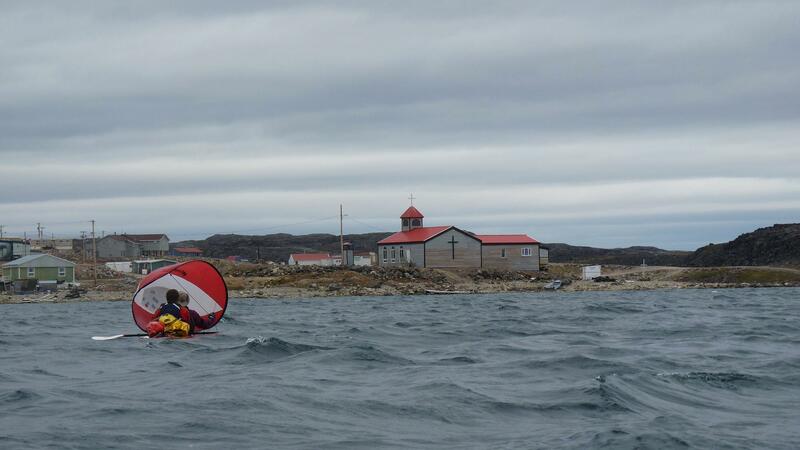 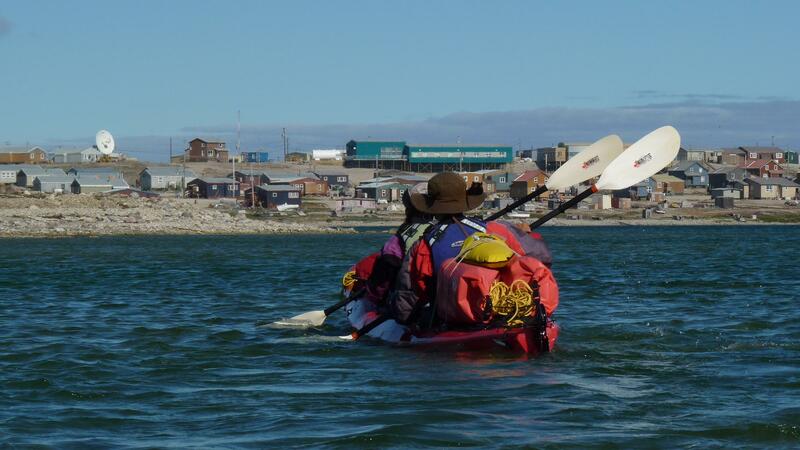 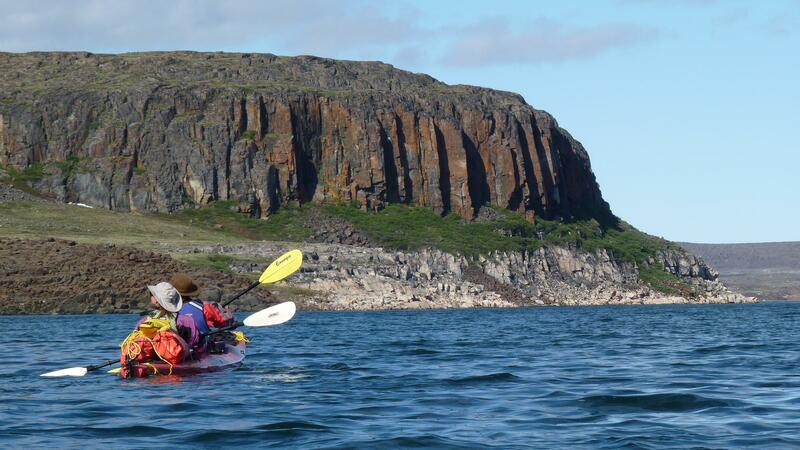 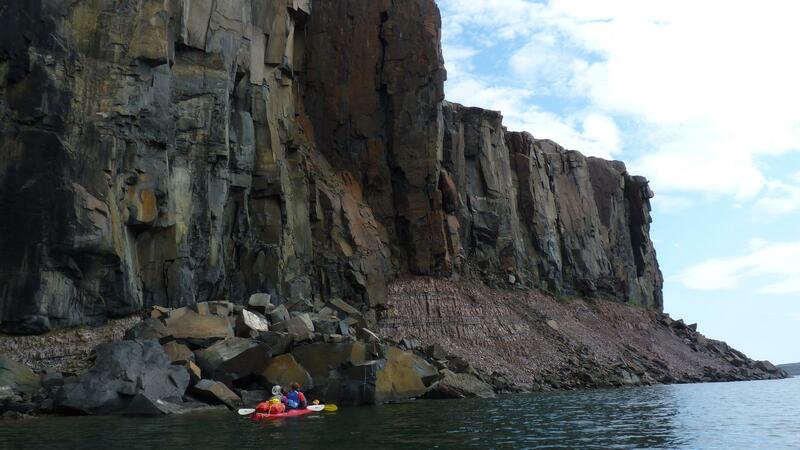 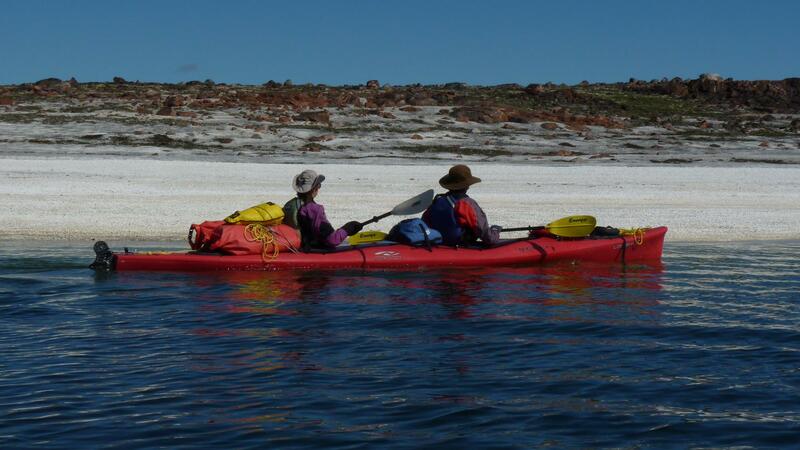 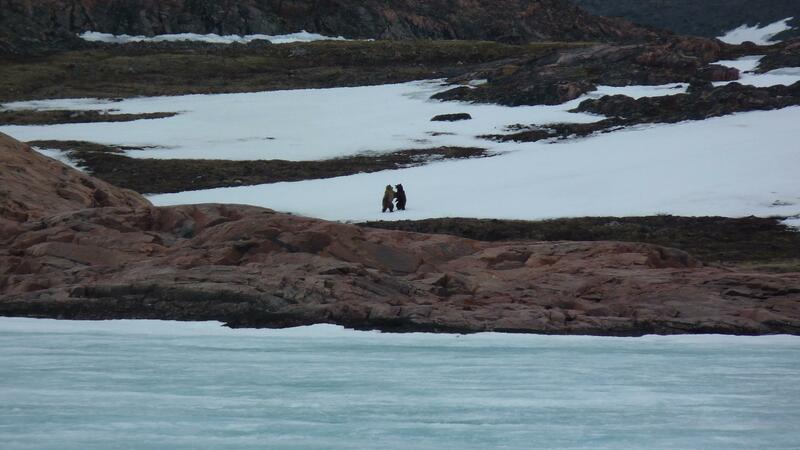 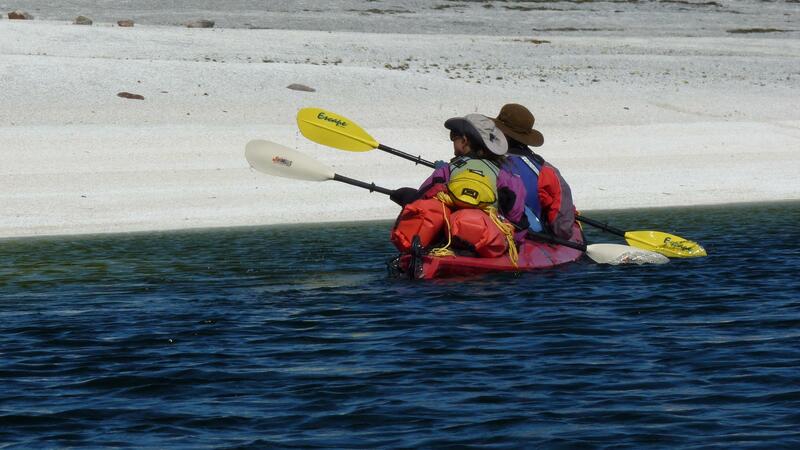 They ended their journey in Taloyoak, visiting Umingmaktok and Gjoa Haven along the way. 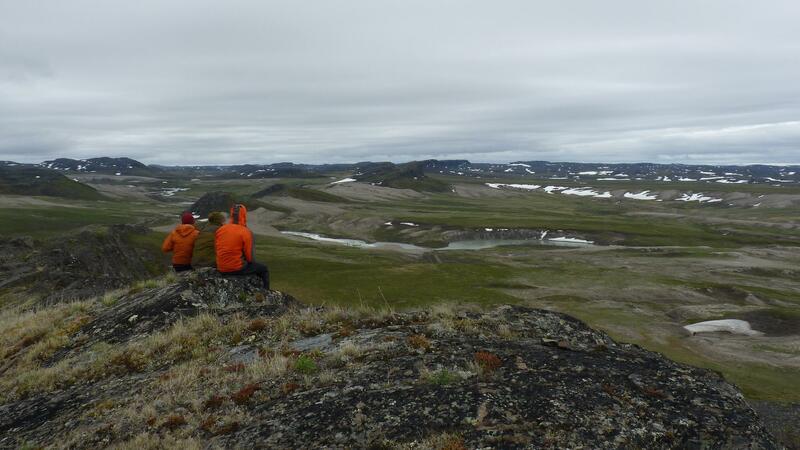 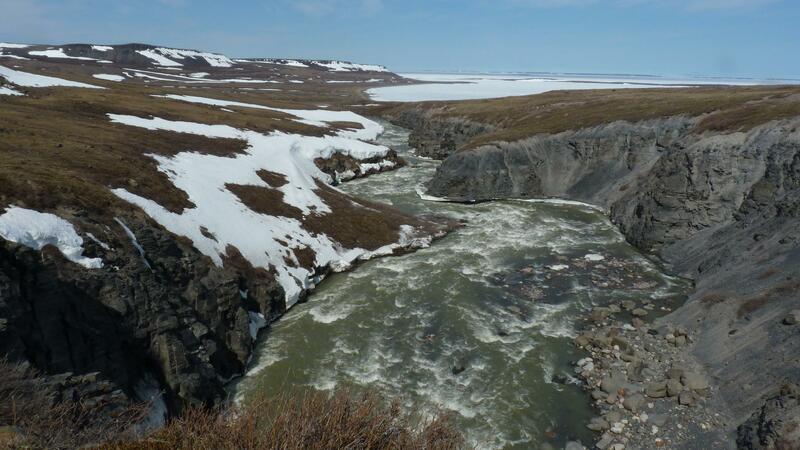 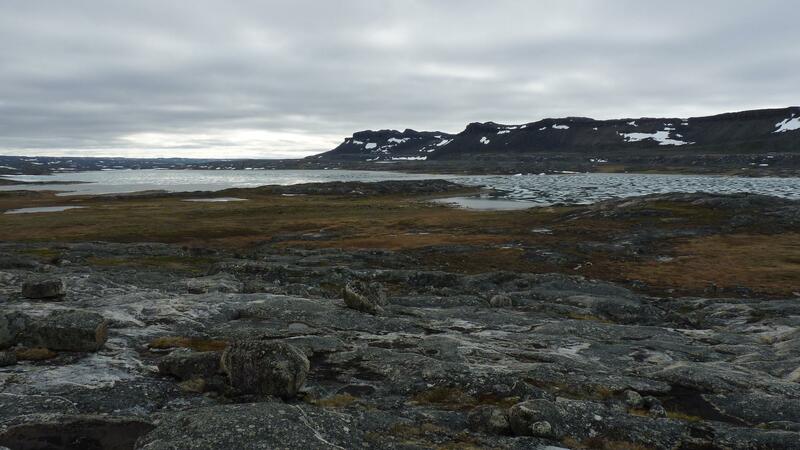 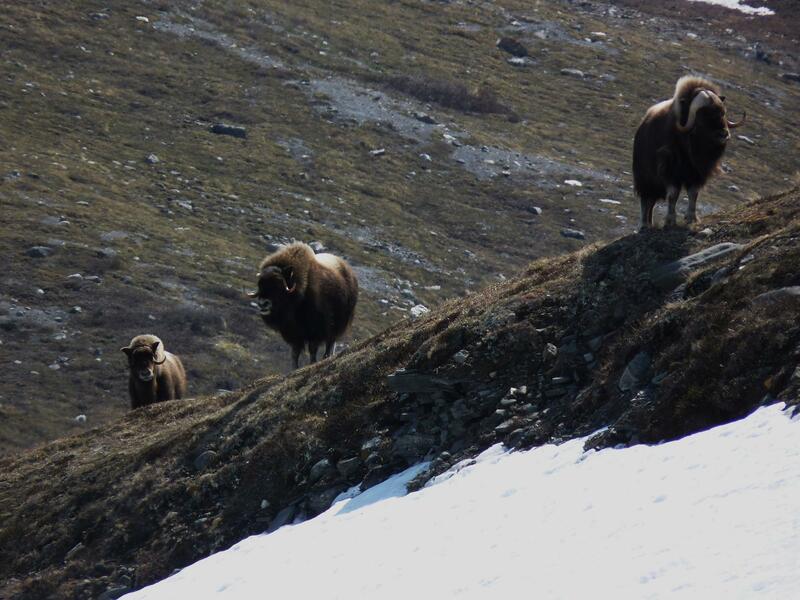 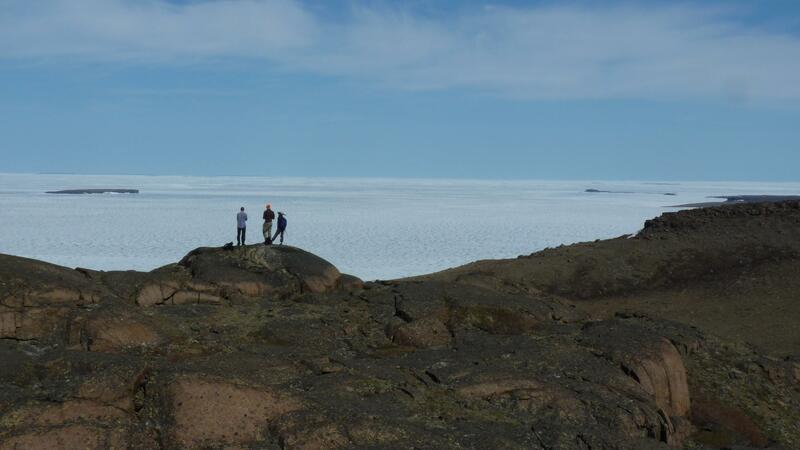 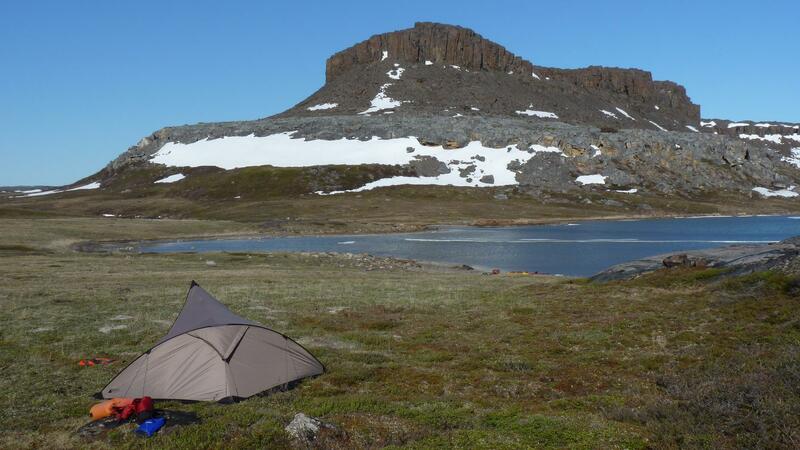 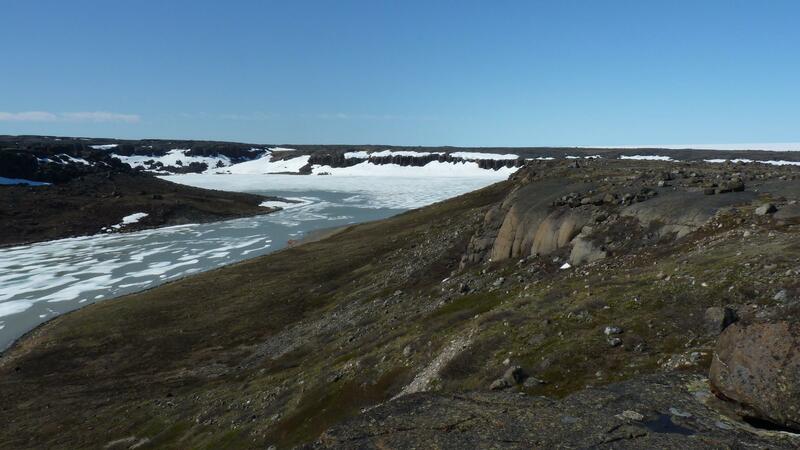 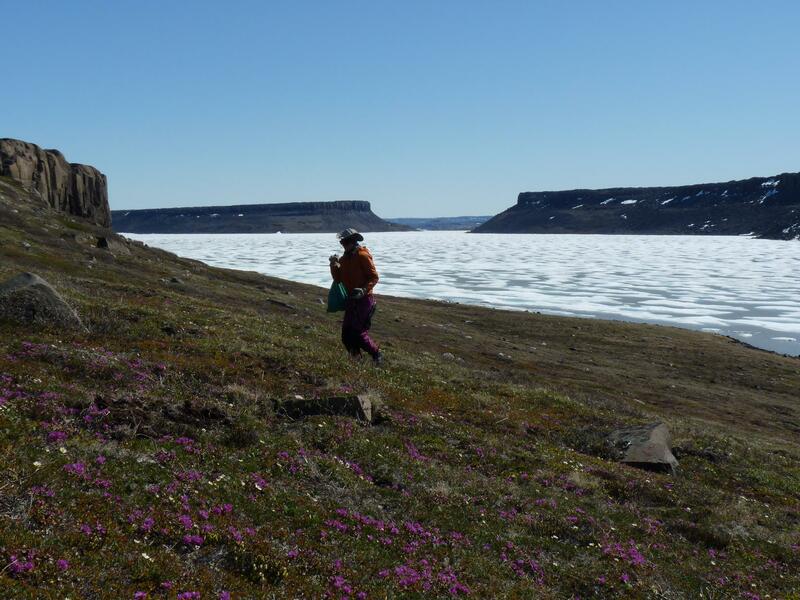 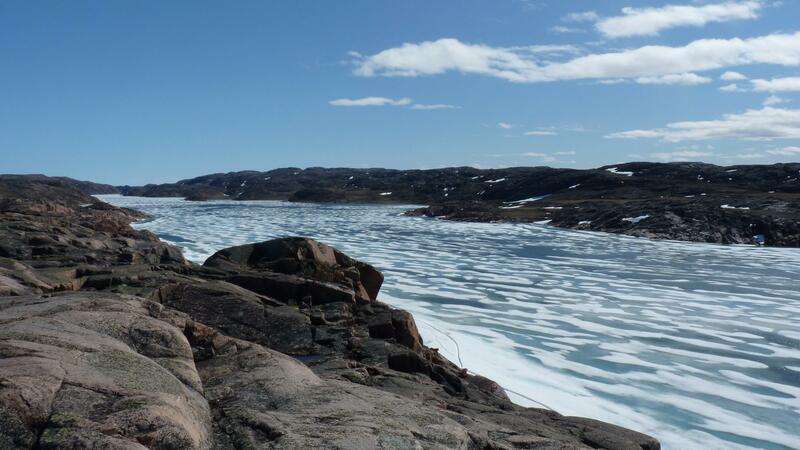 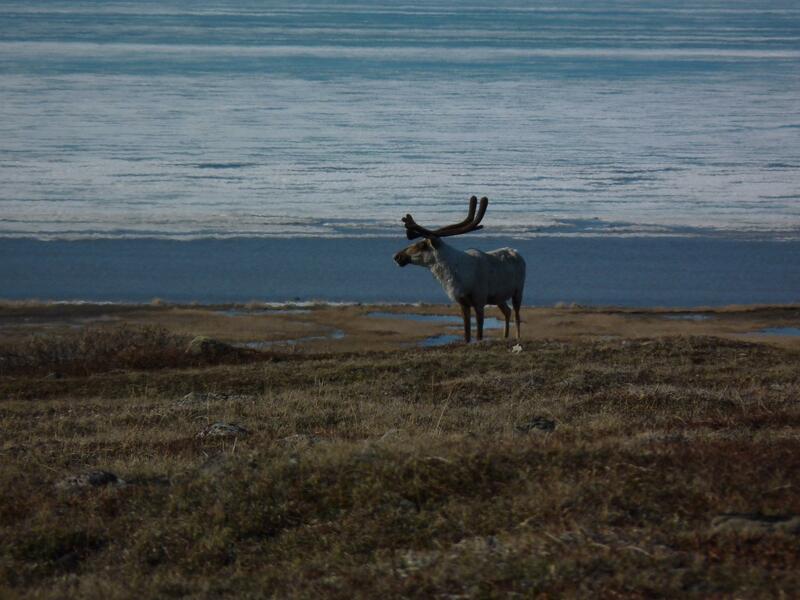 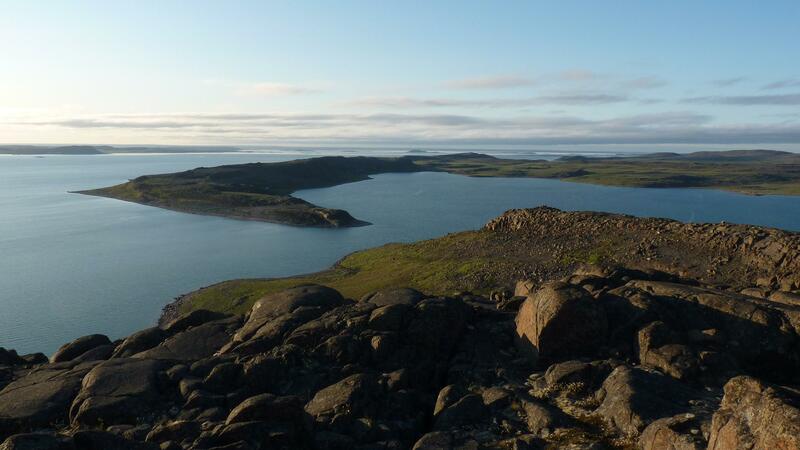 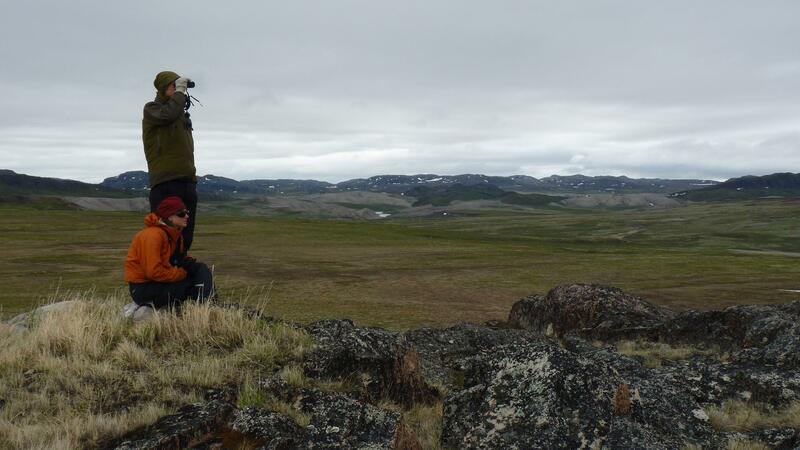 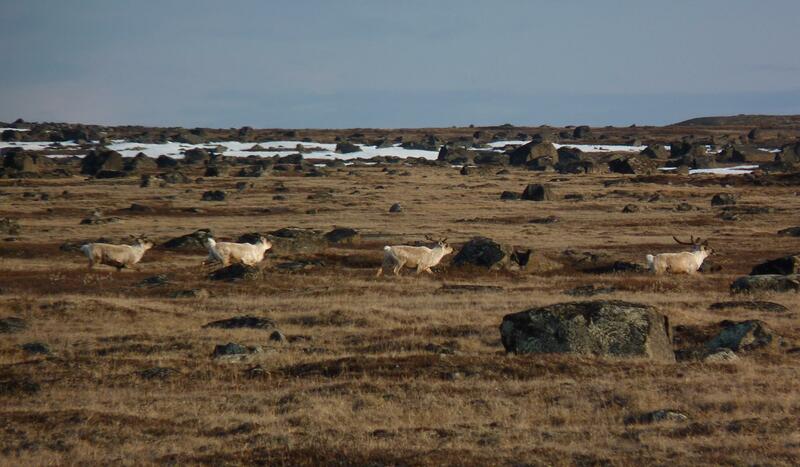 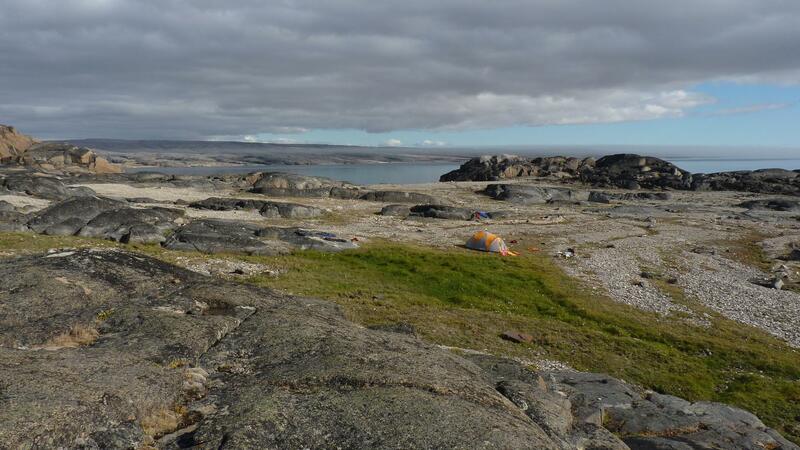 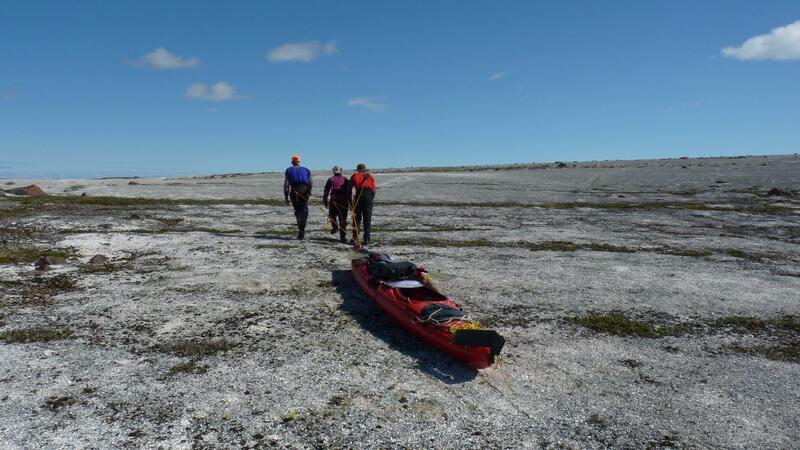 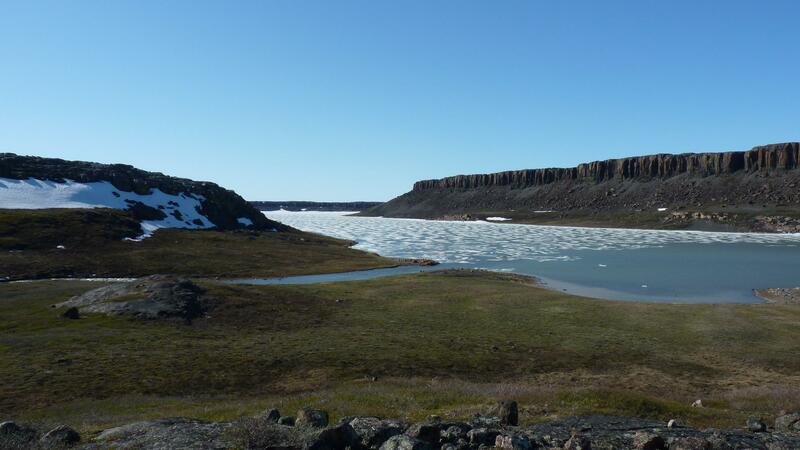 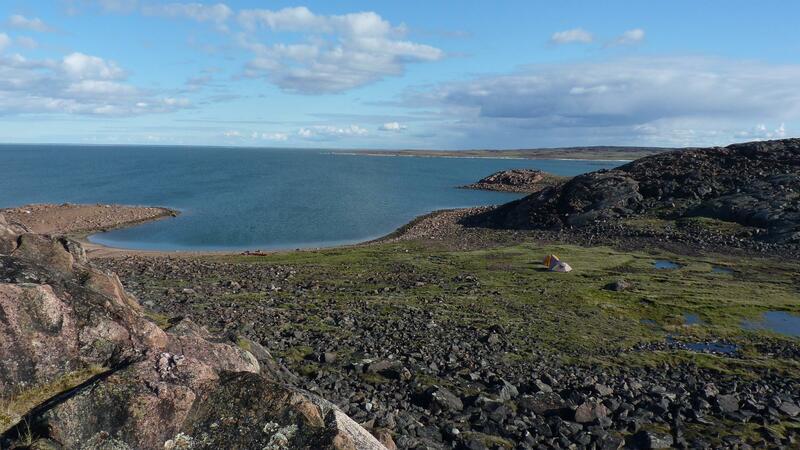 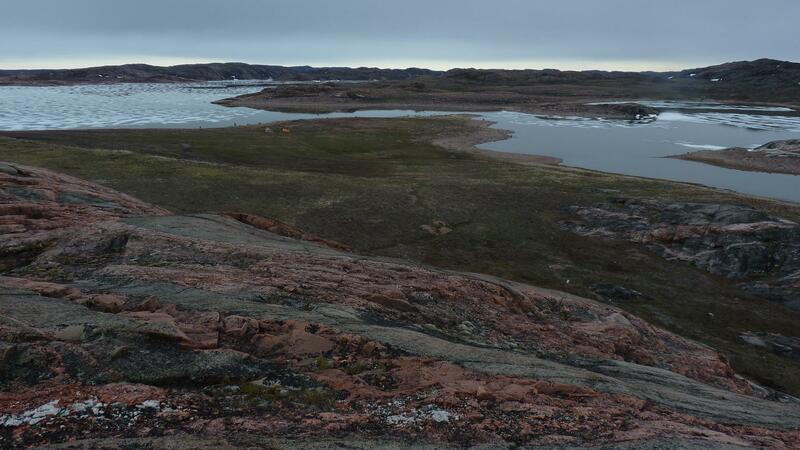 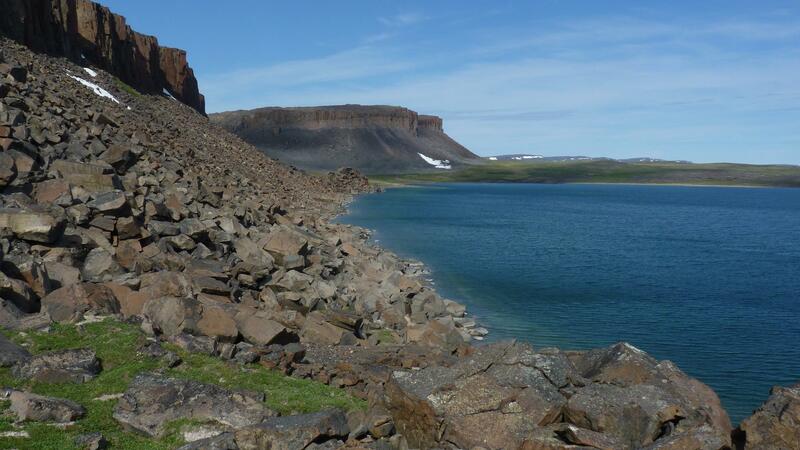 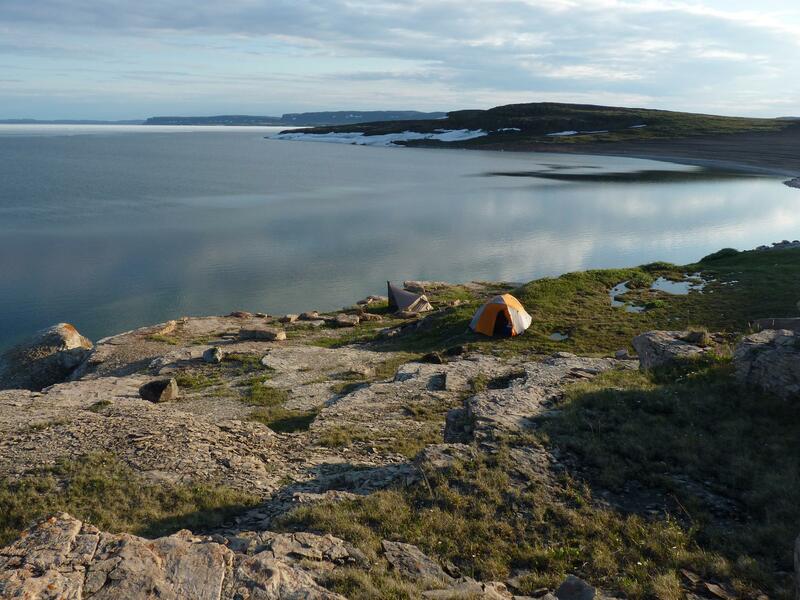 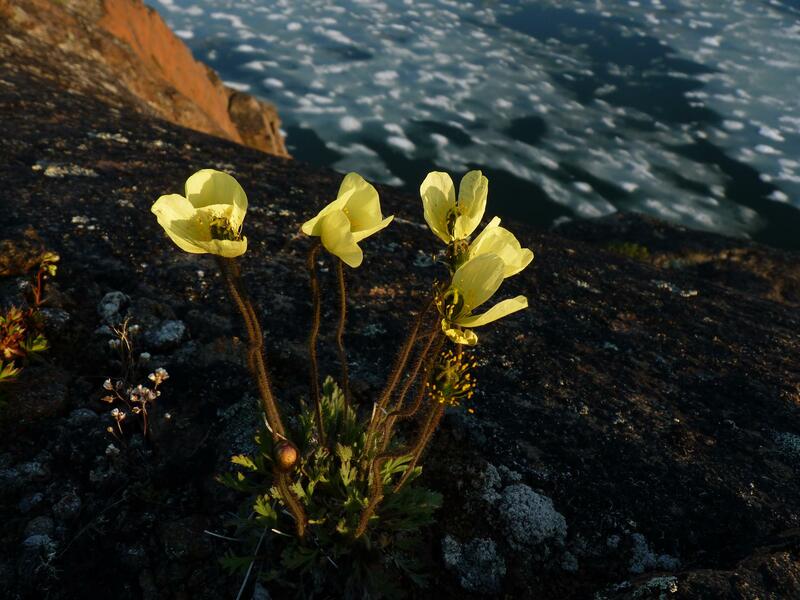 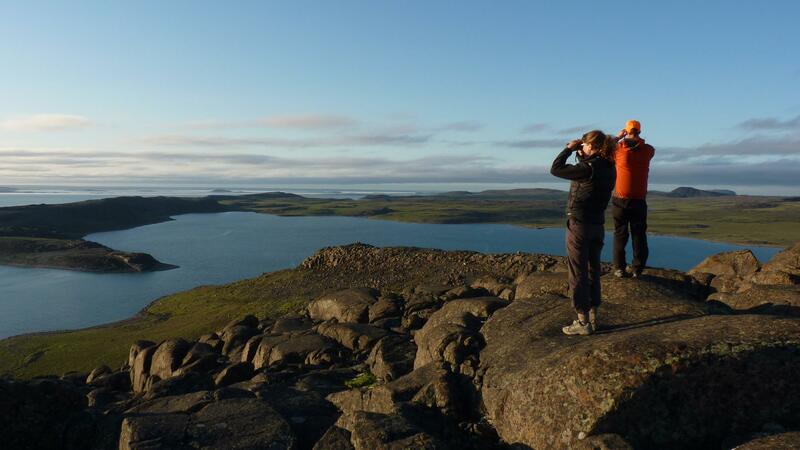 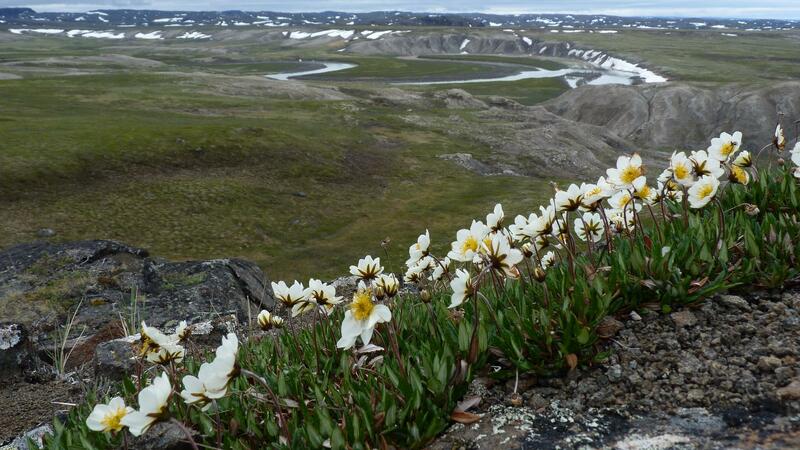 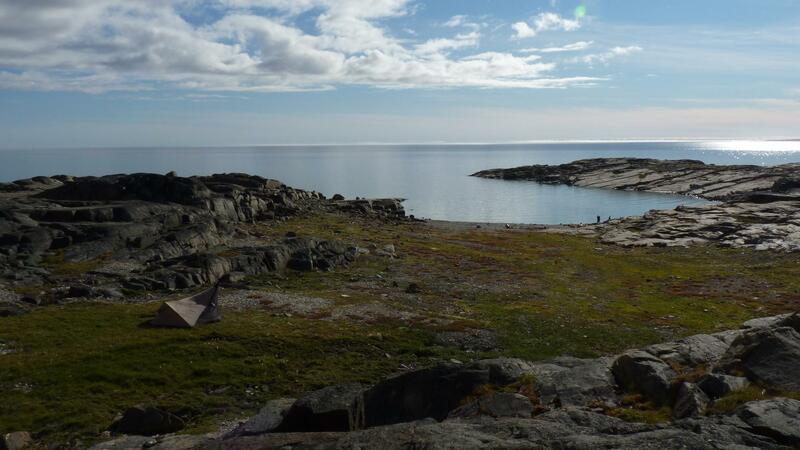 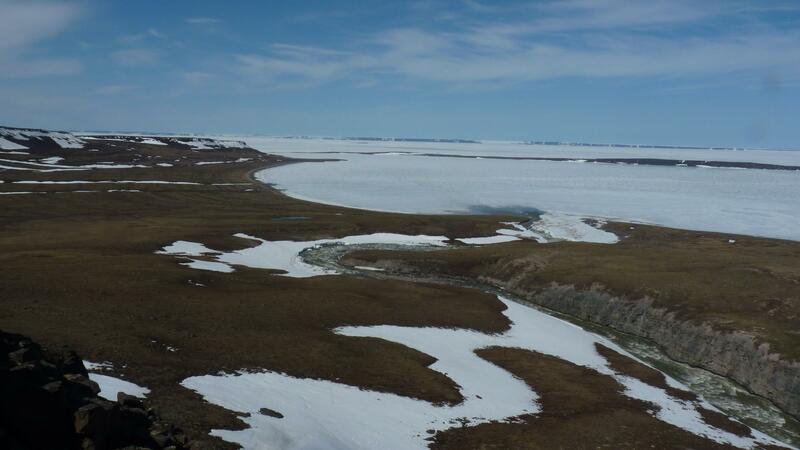 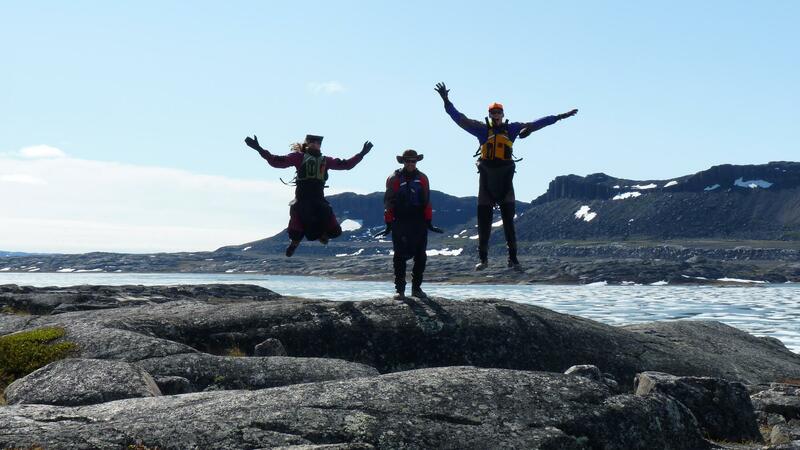 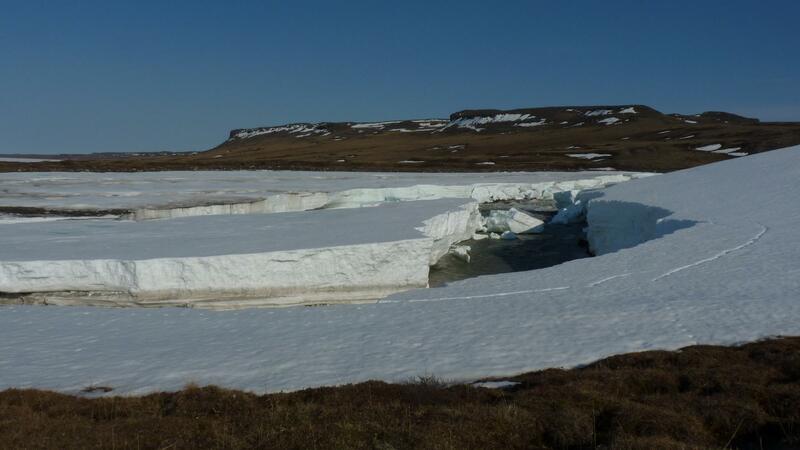 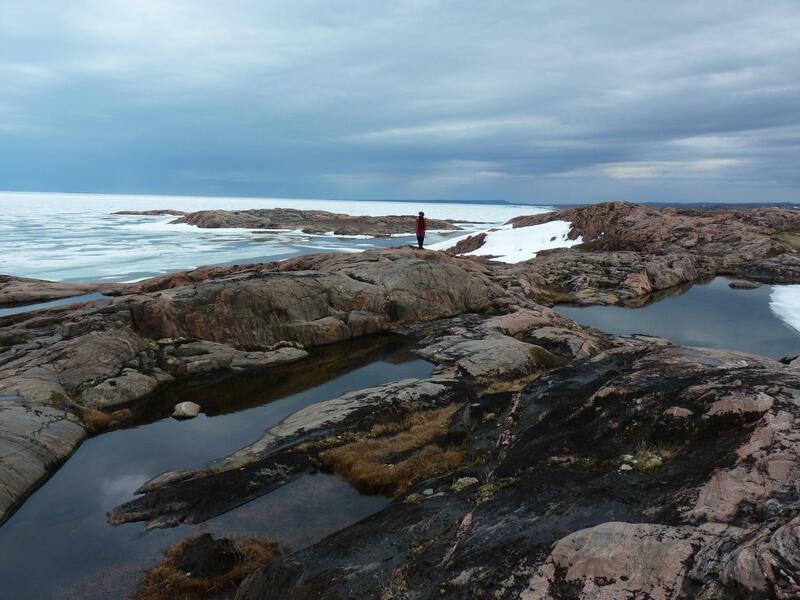 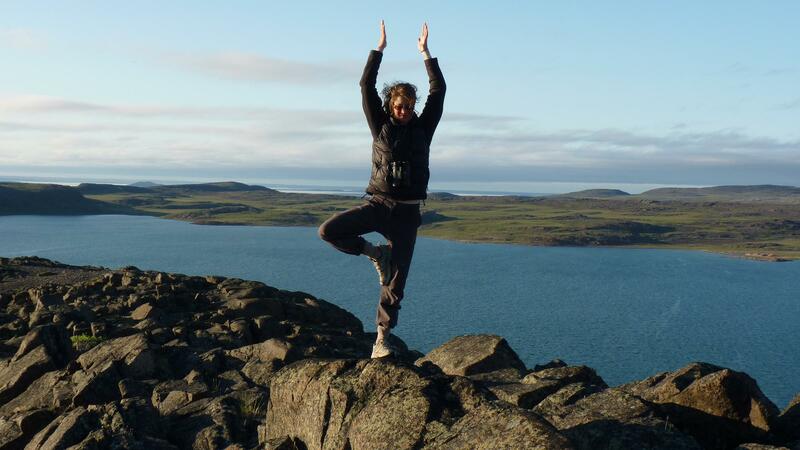 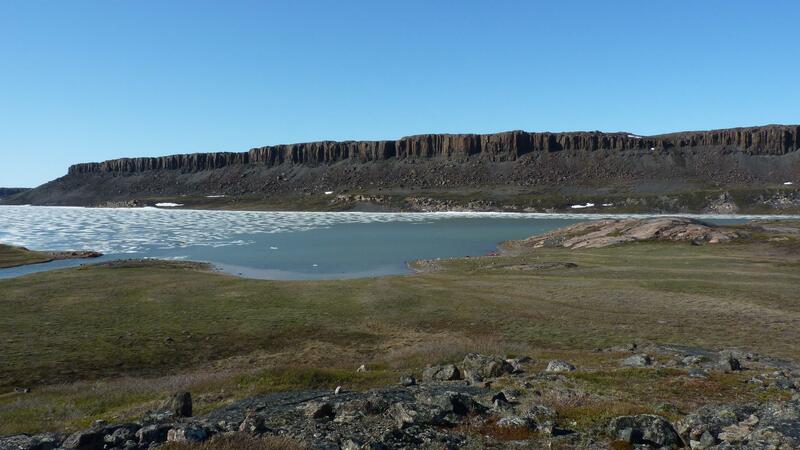 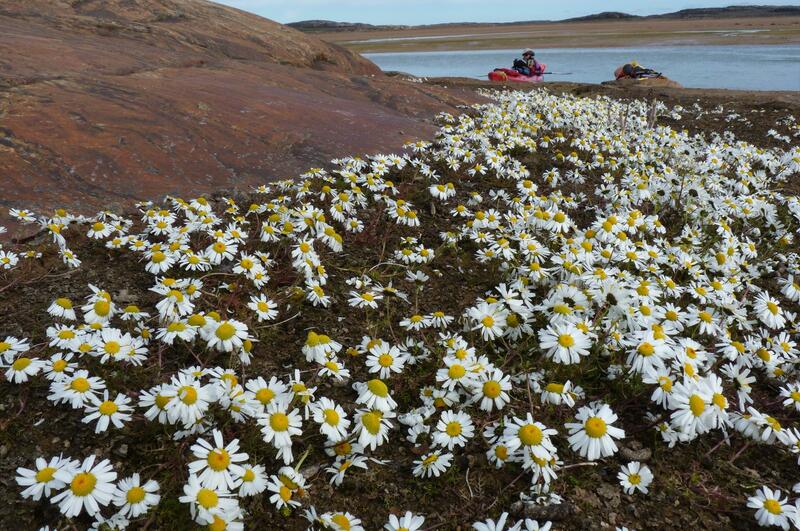 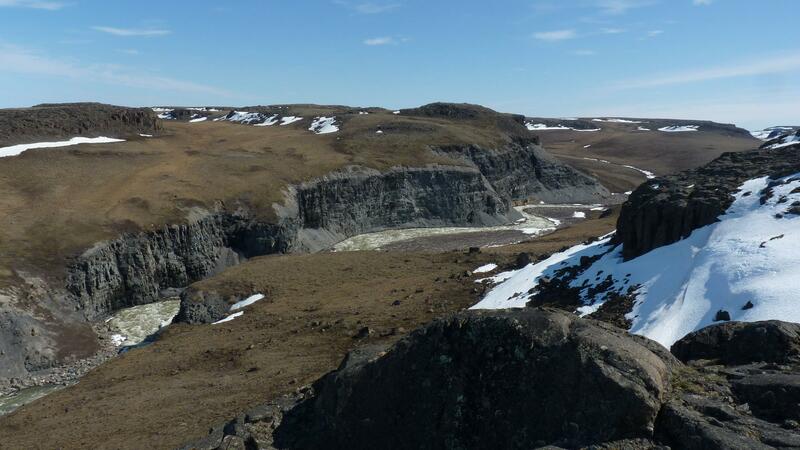 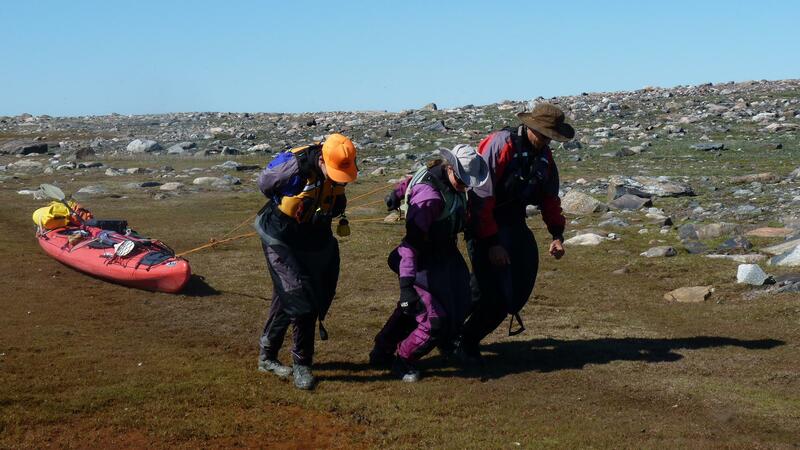 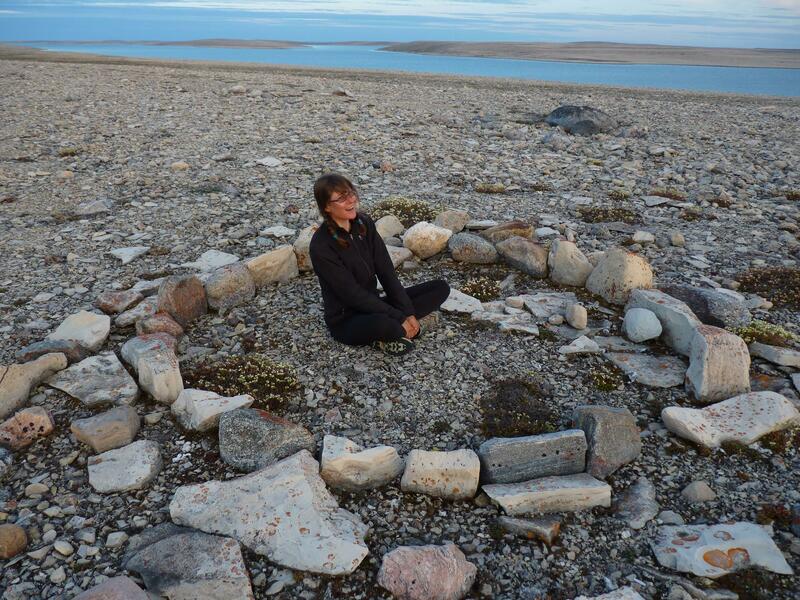 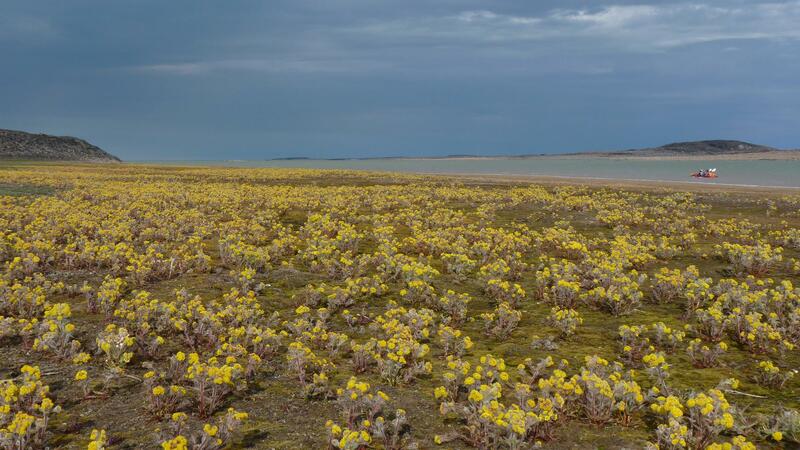 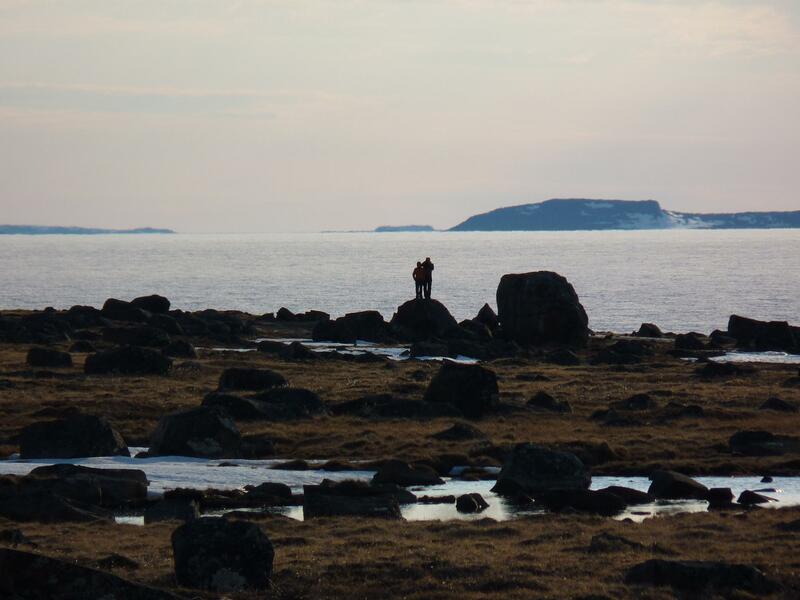 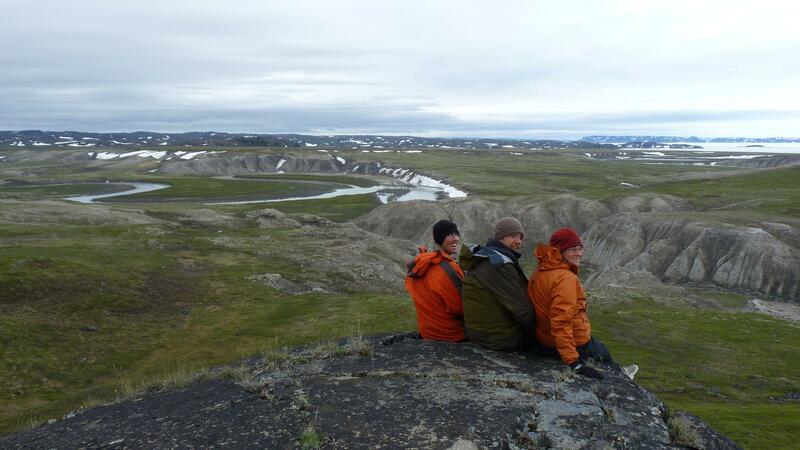 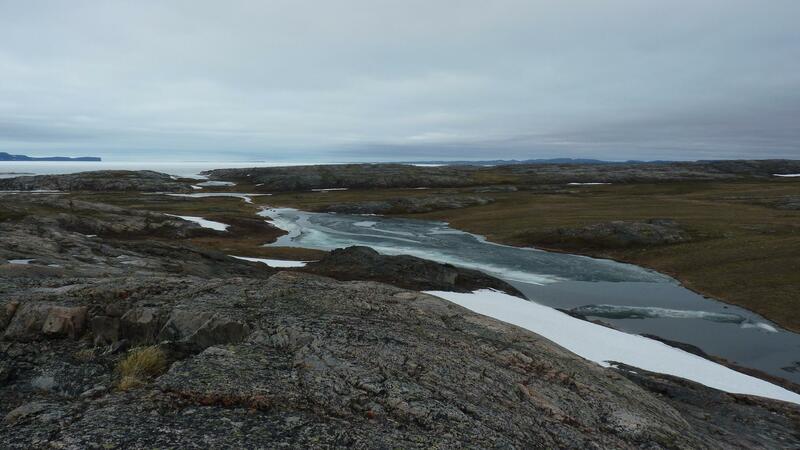 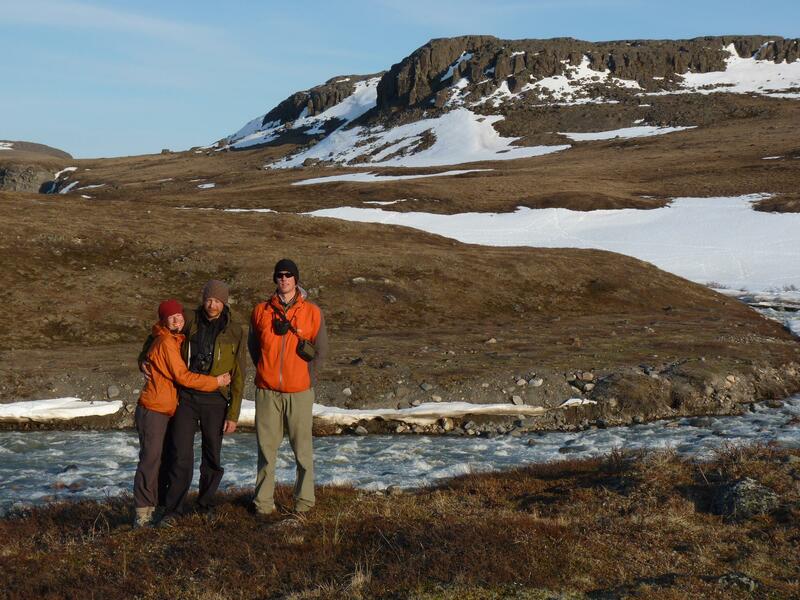 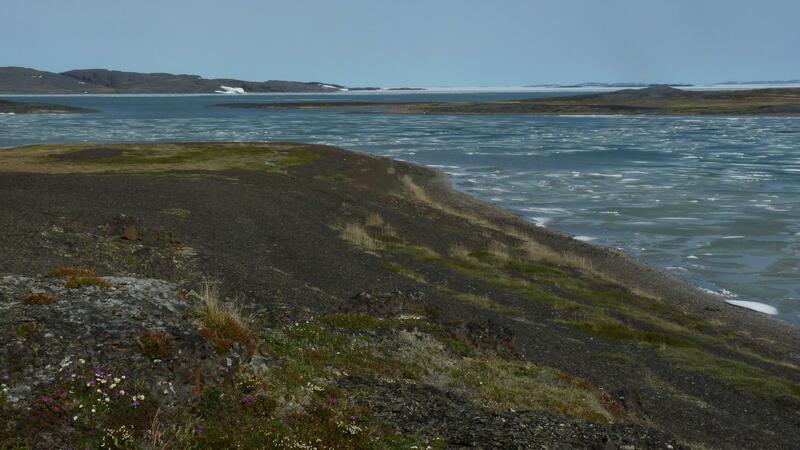 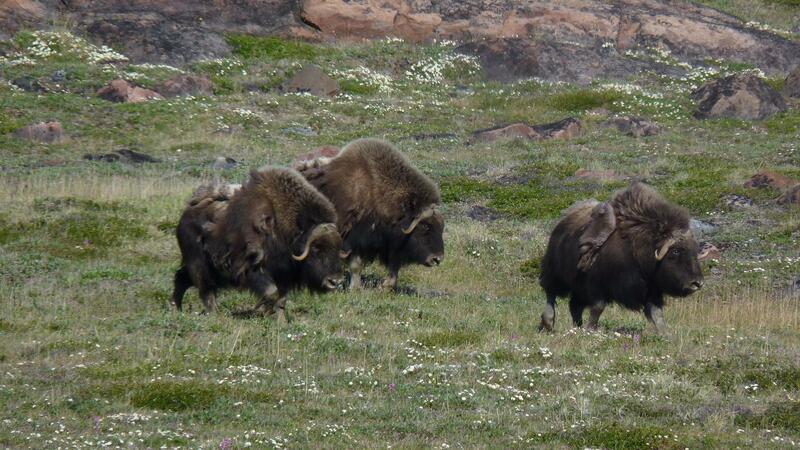 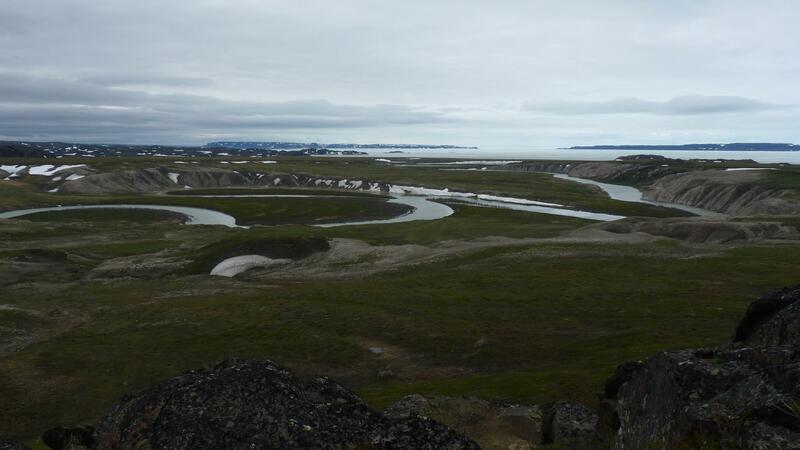 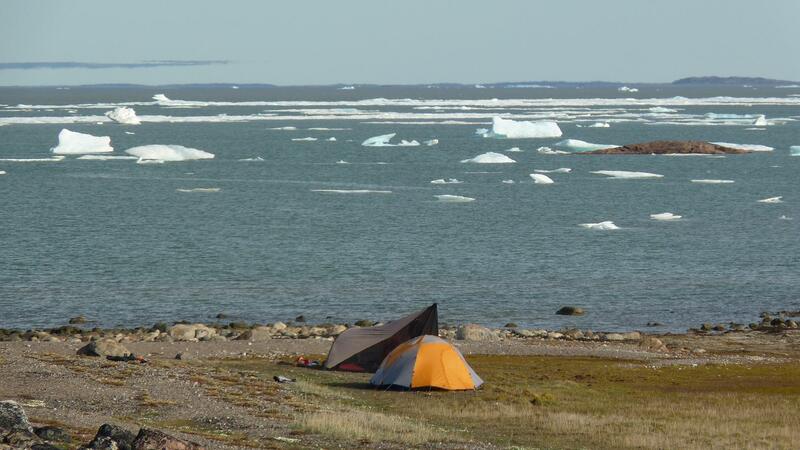 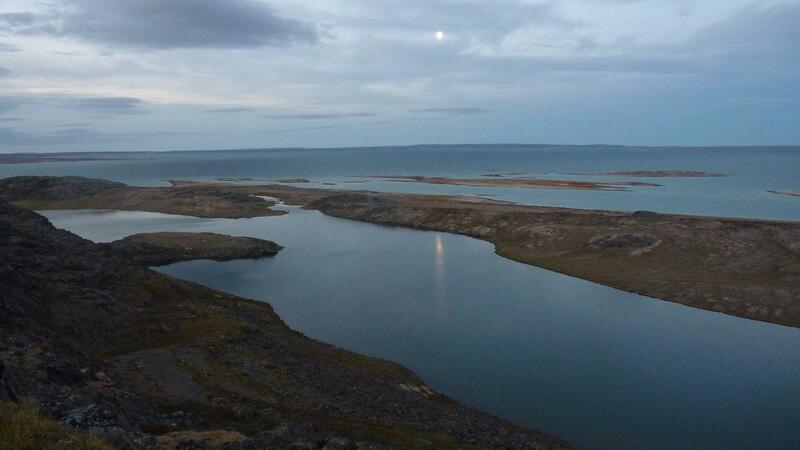 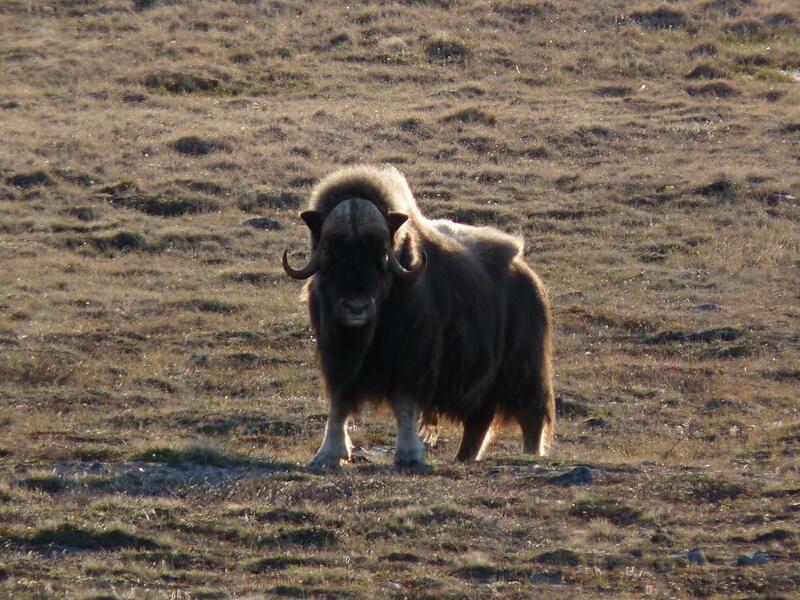 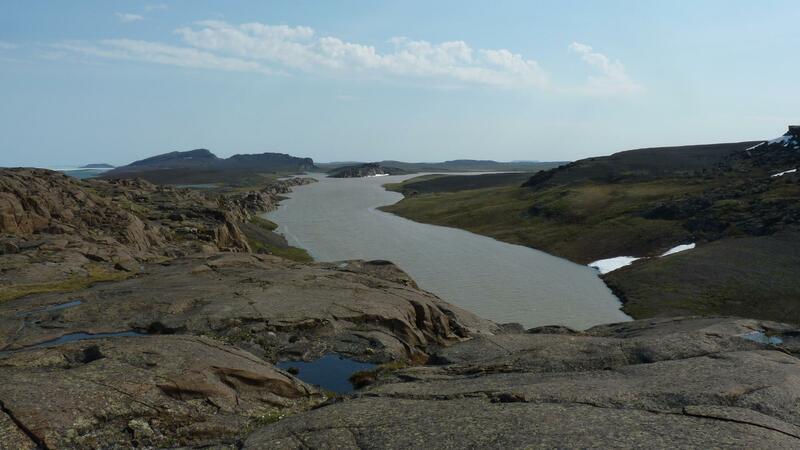 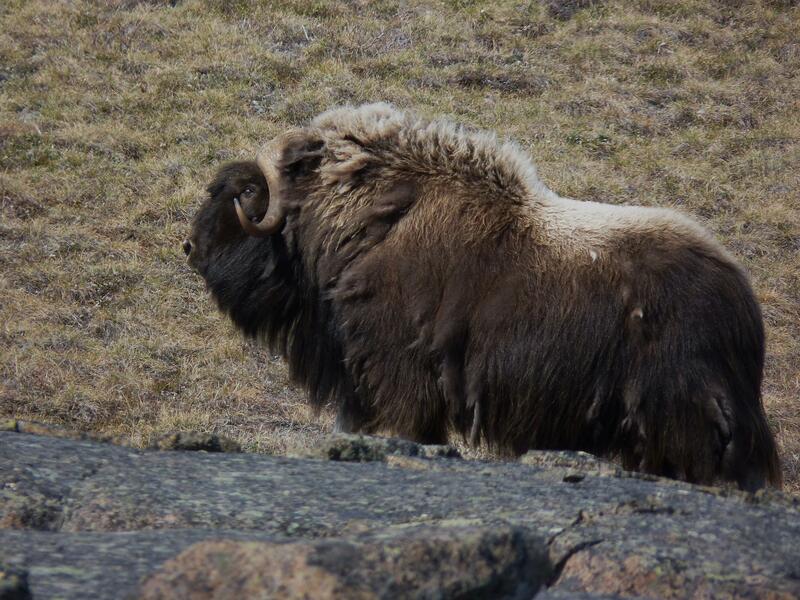 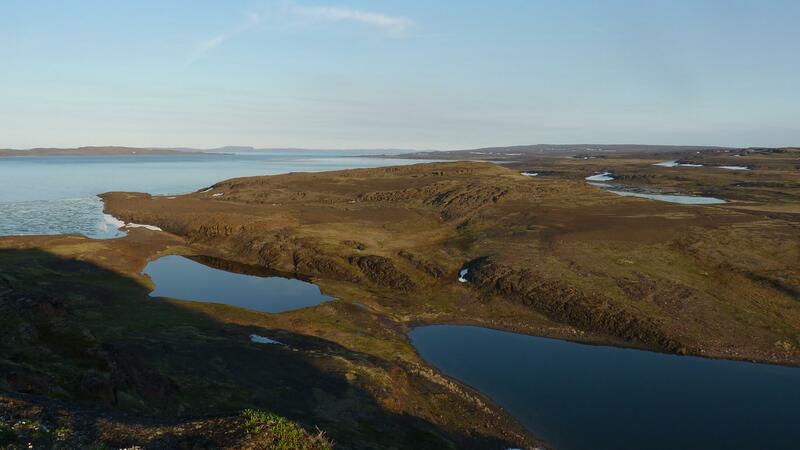 They watched the season progress from the first flowers blooming to the final ones fading, followed the breeding of a wide variety of Arctic birds and enjoyed the sights of thousands of caribou, hundreds of musk-ox, several wolves, foxes and barren ground grizzly bears (70 days, 1700 kms).